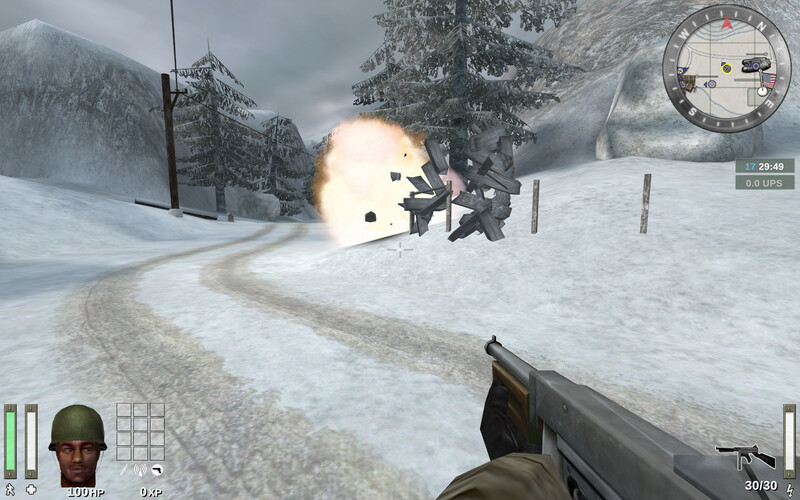 Enemy Territory: Legacy, just like the original Wolfenstein: Enemy Territory, offers a wide range of console variables, so-called CVARs. 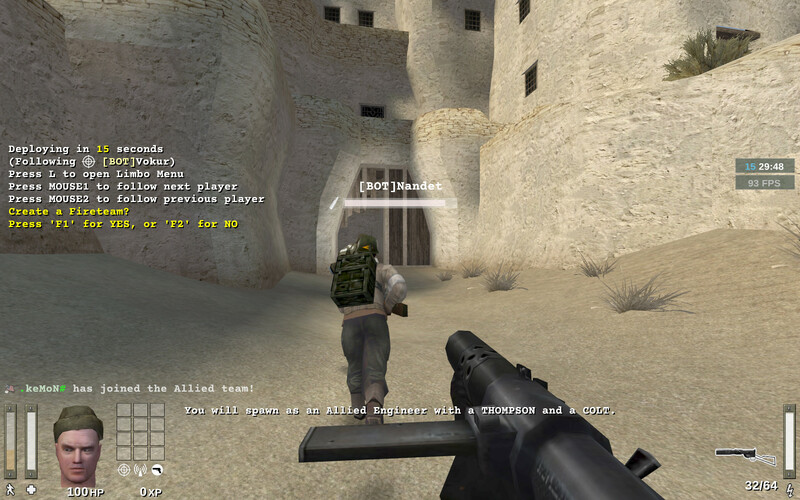 These are options that can be used to customize the game’s behaviour, setup and appearance to accommodate the player’s needs or preferences. 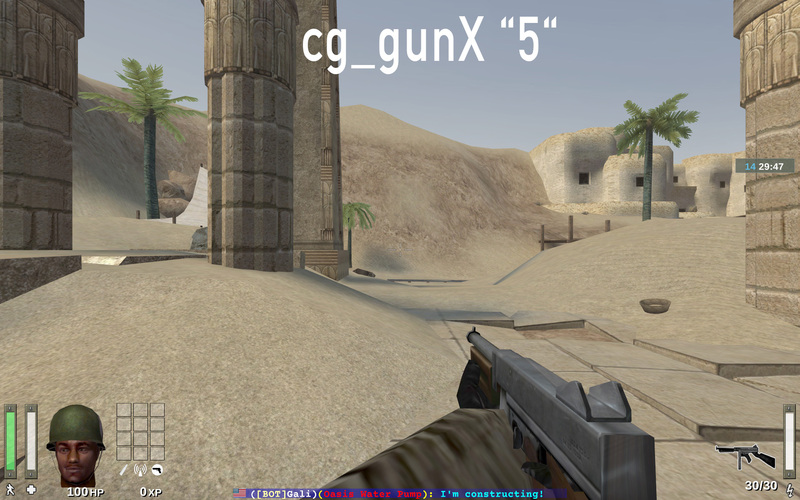 They can be set from inside a configuration file (.cfg) , the command line or, in most cases from the console. 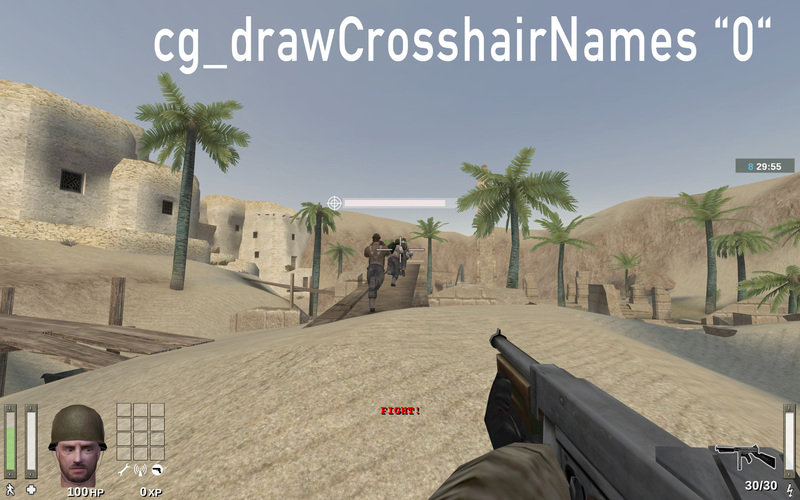 For help on how to use and set CVARs, please refer to the "How can I customize my game?" section in the FAQ. CVAR for internal purposes only. Doesn’t seem to have any effect. Specifies the font scale of the +wstats window. 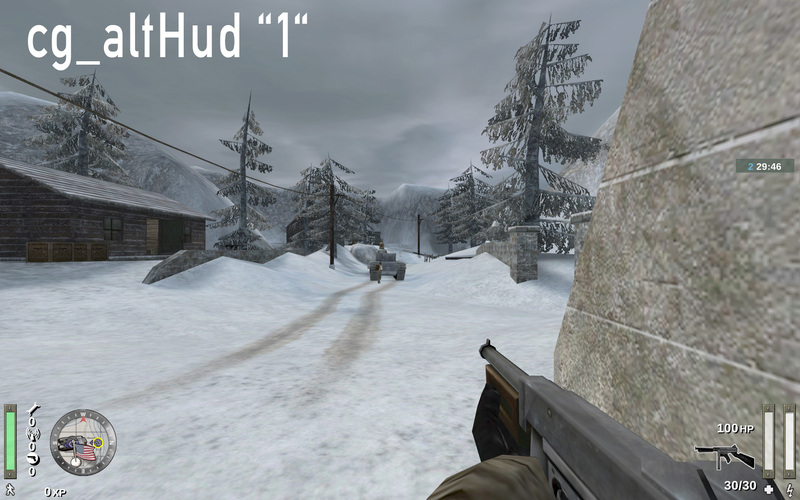 Choose from different premade HUD styles. Move the spawn timer and mission timer down above the weapon icon. Seems to have the same result as cg_noPlayerAnims. 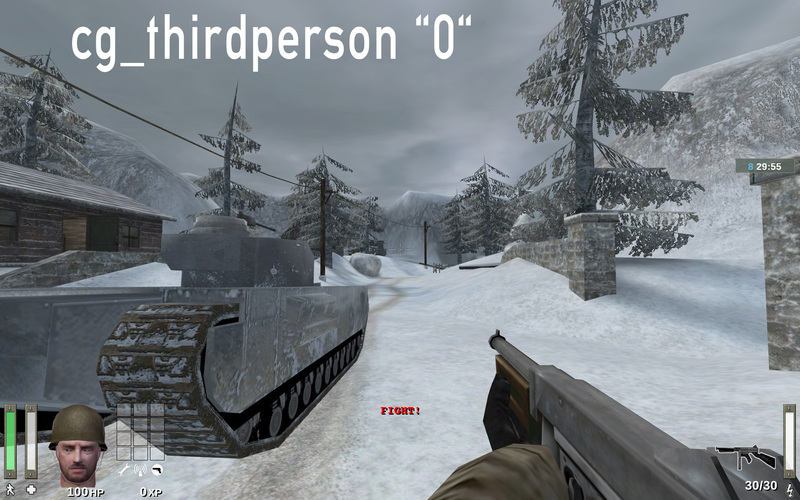 Default: "1" = enabled Possible values: "0" = disabled; "1" = enabled. 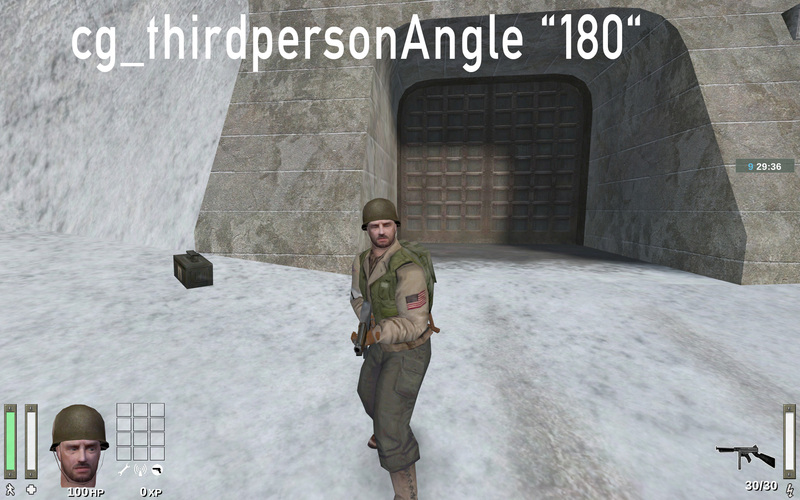 Toggle linear interpolation between successive frames in a player animation. Essentially, it toggles the display of player animations. Default: "0" Possible values: N/A. CVAR was unused and has therefore been removed. 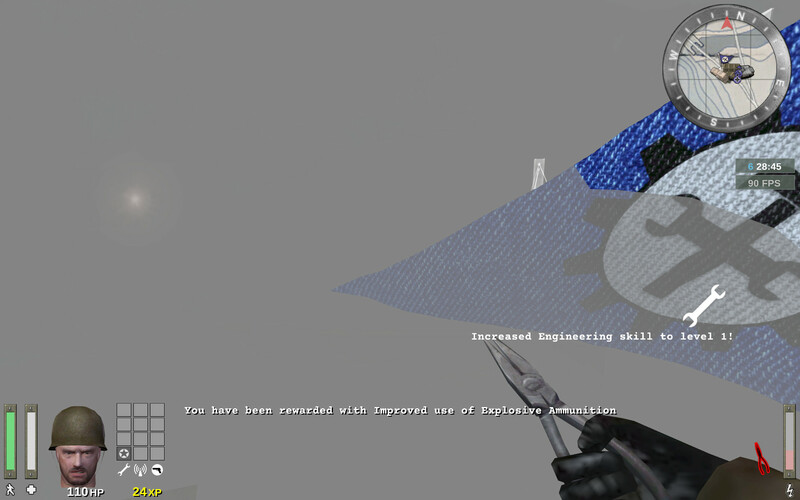 Was this removed in ET: Legacy? Toggles the announcer voice on map start ("FIGHT! "), win (Allies win! ), etc. Why is that necessary when g_antilag exists? 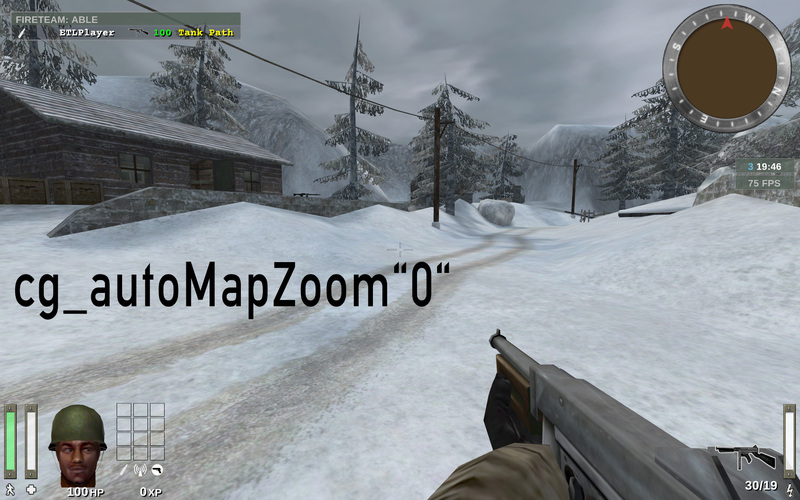 Toggles display of atmospheric map effects like rain and snow. Default: "0" = none Possible values: "0" = none; "1" = demo; "2" = screenshot; "4" = log stats. Automatically performs given actions at the start or end of a round. Refer to the Path and File Structure wiki article for where to find the saved files. 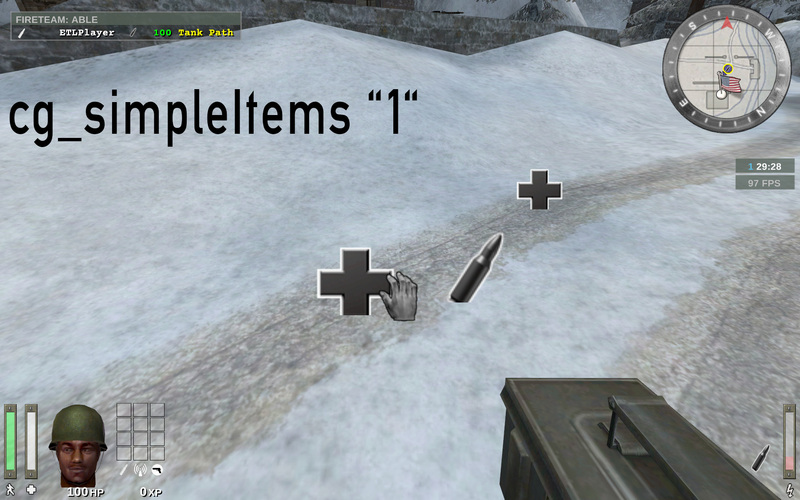 Toggles automatically picking up items such as ammo/health packs, weapons, objectives, etc. Default: "5.159" Possible values: "0" = disabled; < ? Adjust the zoom level of the compass minimap. 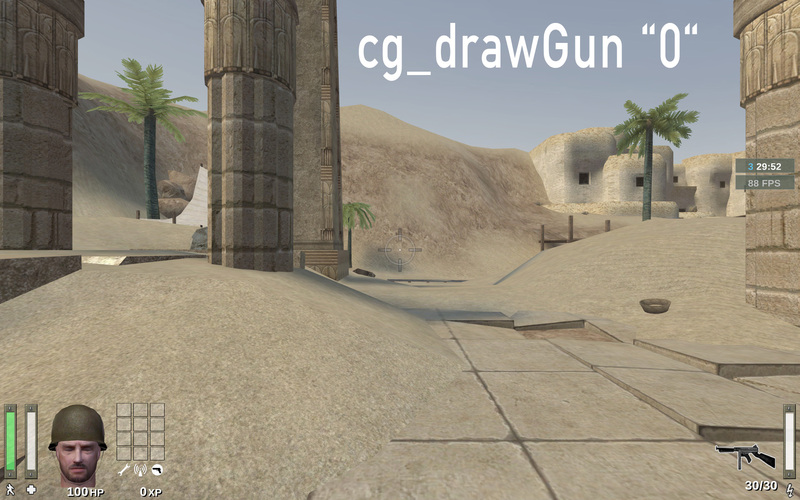 Automatically reload weapon when clip becomes empty. Keep in mind that reloading can’t be cancelled! 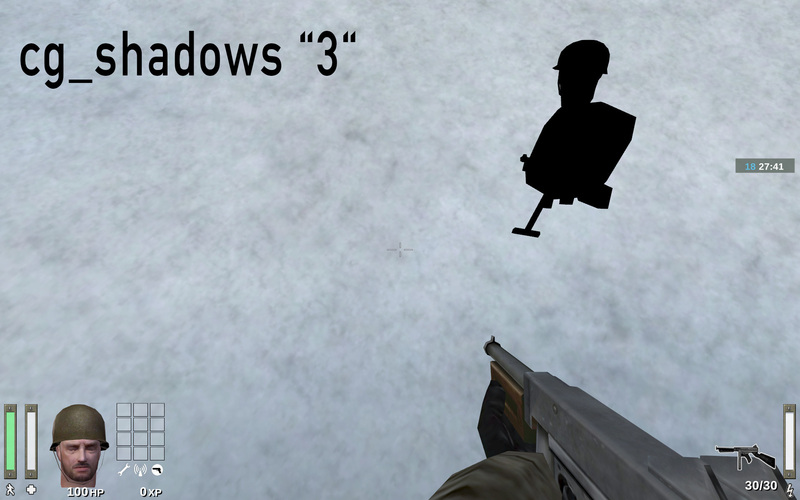 Automatically switch to a new weapon when out of ammunition. 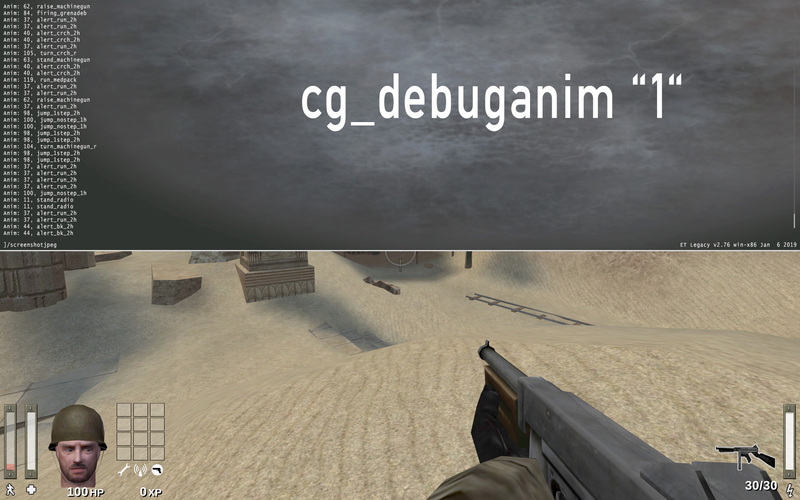 CAREFUL: Do not confuse with cg_noAmmoAutoSwitch! Likely intention: Implement context sensitive bot menu. Default: "100" Possible values: N/A. Likely intention: Duration of “blink" blackout when taking damage, in milliseconds. 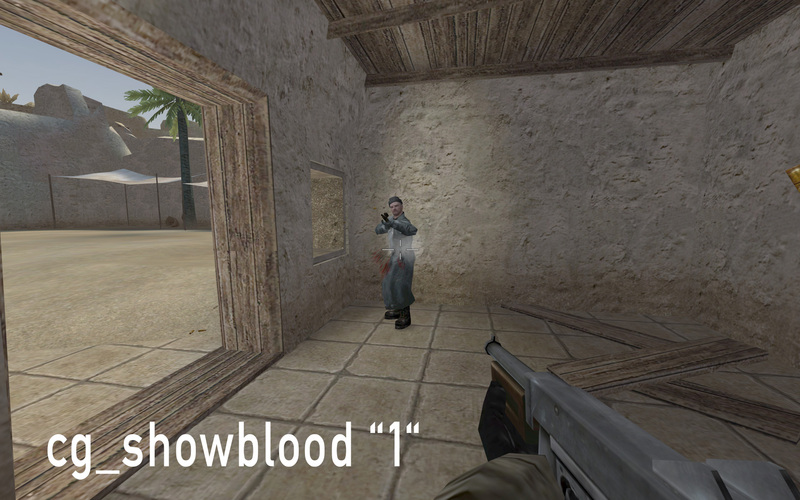 Why can we not use cg_showBlood? 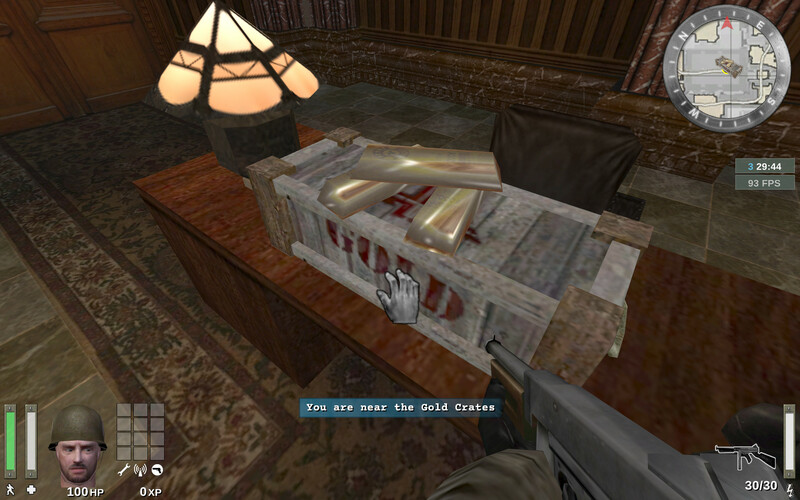 Internal CVAR used in handling the display of blood effects. 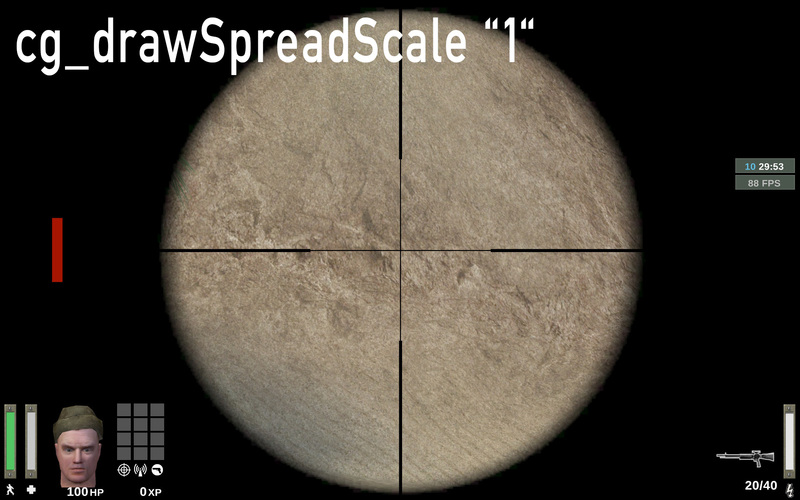 Default: "1.0" = opaque Possible values: "0.0" = transparent; "0.25" = light; "0.5" = medium; "0.75" = heavy; "1.0" = opaque. 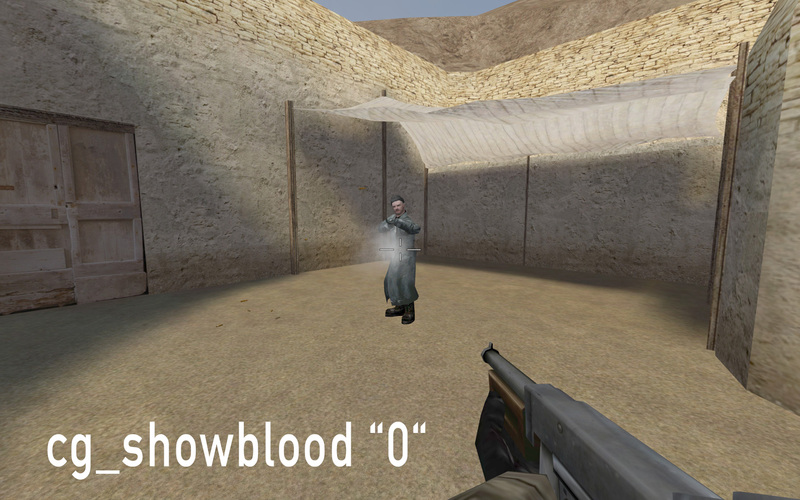 Opaqueness of on-screen blood splatter effect when you are being shot. 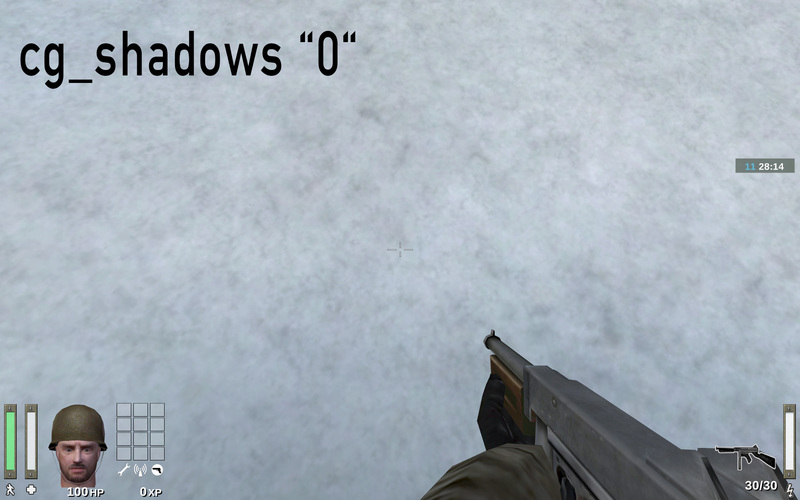 Default: "1.0" = full Possible values: "0.0" =none; "0.25" = light; "0.5" = medium; "0.75" = heavy; "1.0" = full. Default: "120" = 2 min. Possible values: "0" = none; < ? 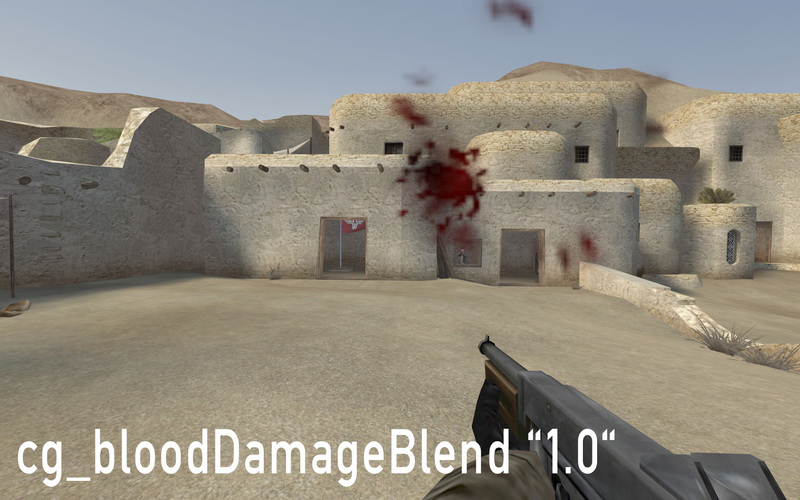 Display duration of blood puddle effects on the world (walls, floors, etc.) in seconds. Internal CVAR communicated by systeminfo and used for spawn timers, in milliseconds. Default: "0.002" Possible values: "0.0" = disabled; < ? Simulates a head 'bobbing’ effect when moving by giving the camera a forwards/backwards movement similar to nodding. Simulates a head 'bobbing’ effect when moving by giving the camera a left/right movement similar to "sideways-nodding". Default: "0.005" Possible values: "0.0" = disabled; < ? Simulates a vertical body 'bobbing’ effect when taking a step by giving the camera a vertical jerk. Feels inconsistent. Likely intention: Simulate a sideways body 'bobbing’ effect when taking a step by turning the camera left and right. Default: "2500" Possible values: "15000" = high; "2500" = medium; "0" = disabled. 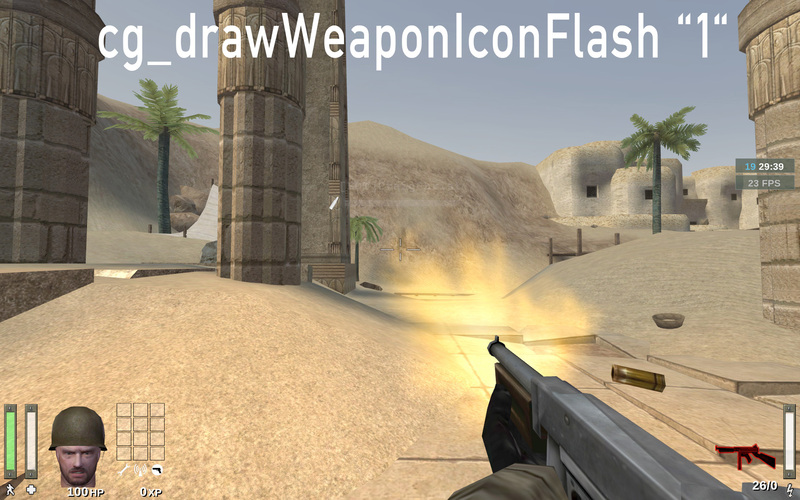 Sets the duration ejected bullet shells last for, in milliseconds. Internal CVAR forcing loading of all possible data and error on failures. 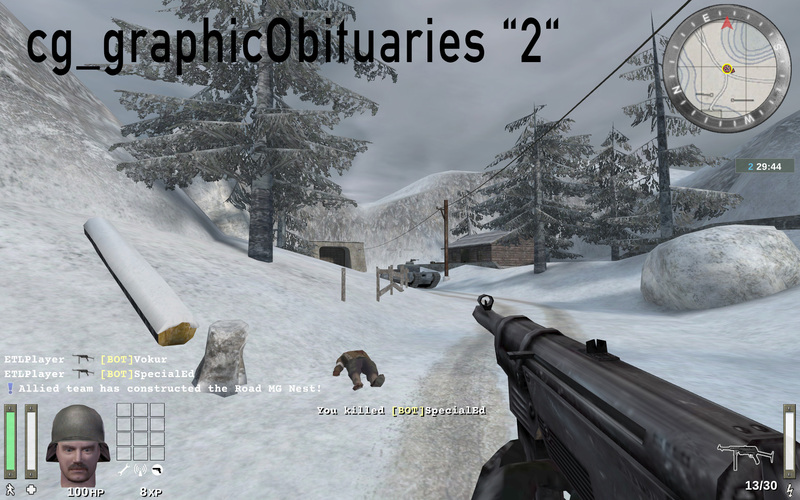 Likely intention: Associated with cinematic camera spinning around when dead. Default: "5" Possible values: "0" = disabled, < ? 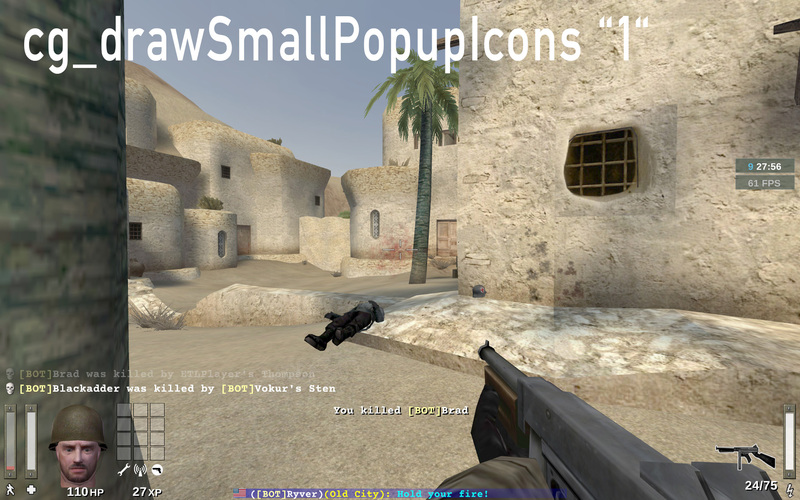 Duration for which center print popups are displayed, in seconds. 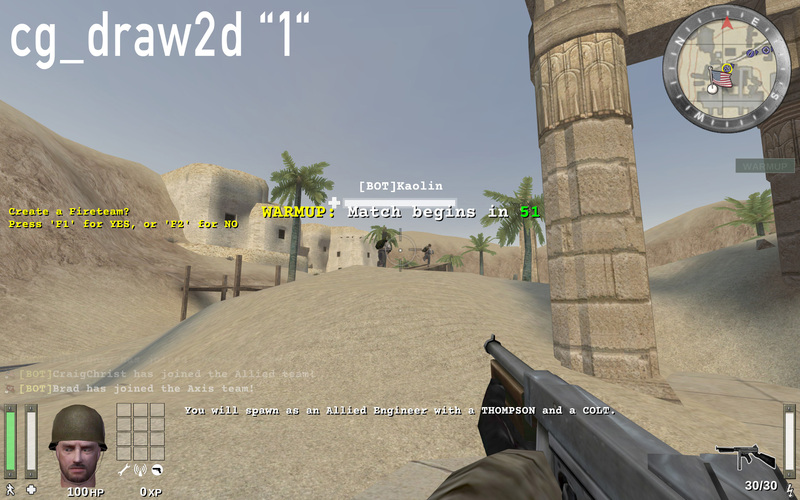 Display the UI popup to file complaints against teammates who teamkill you. 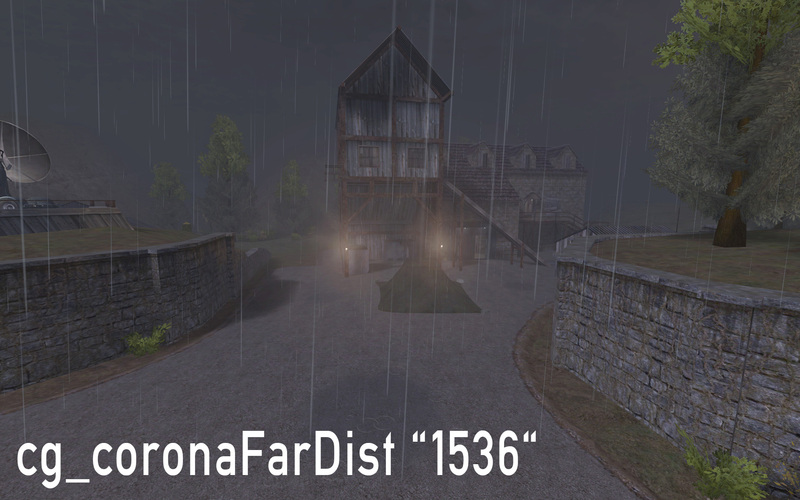 Default: "1536" Possible values: "0" = disabled; "800" = near; "1536" = normal; "4096" = far; "16000" = extreme. 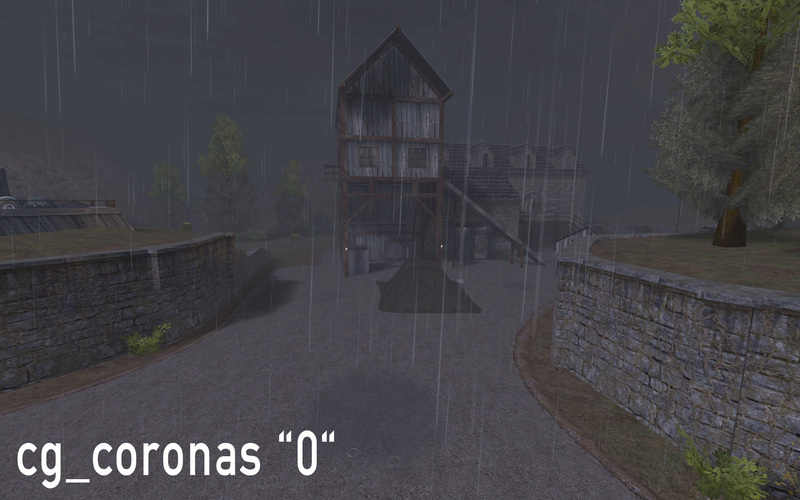 Sets the maximum distance coronas are displayed before fading from view, in in-game units. See cg_coronas for toggling the effect. why is 2 a thing when cg_coronaFarDist exists? Default: "1" = enabled Possible values: "0" = disabled; "1" = enabled; "2" = unlimited. Toggles the display of coronas. 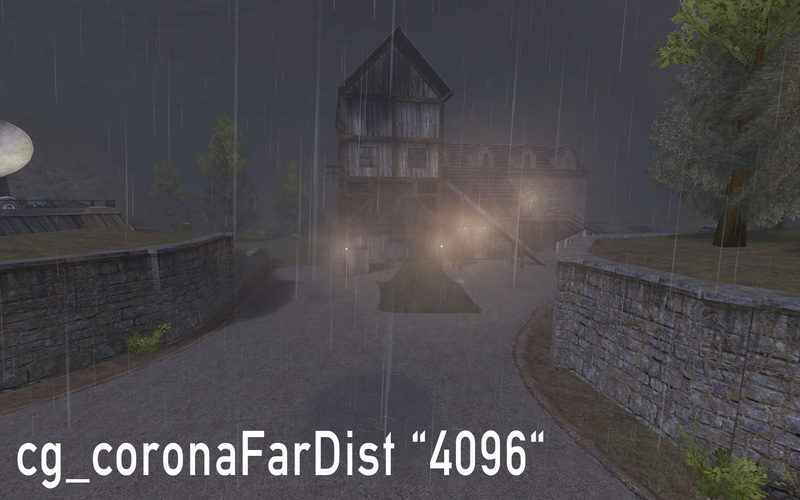 See cg_coronaFarDist for adjusting the draw distance of the effect. 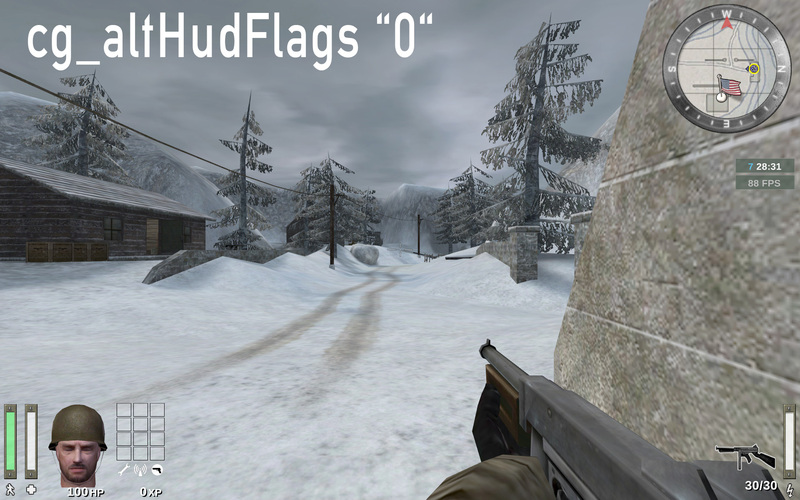 Displays players’ country flags in score board. 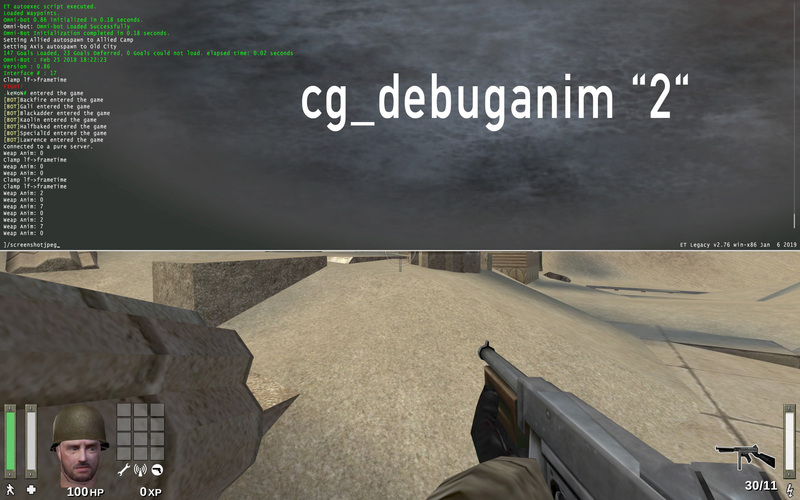 Default: "1.0" = opaque Possible values: "0.0" = transparent; "1.0" = opaque. Set the transparency level for the primary crosshair. Set the transparency level for the secondary crosshair. 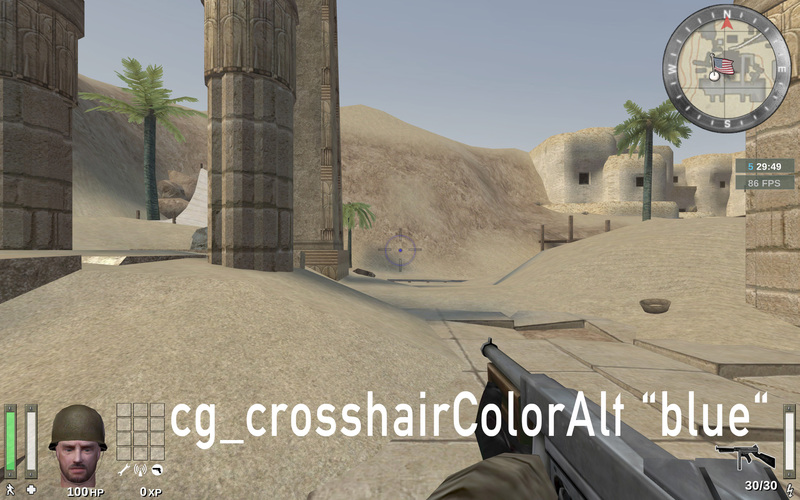 Set the colour for the secondary crosshair. 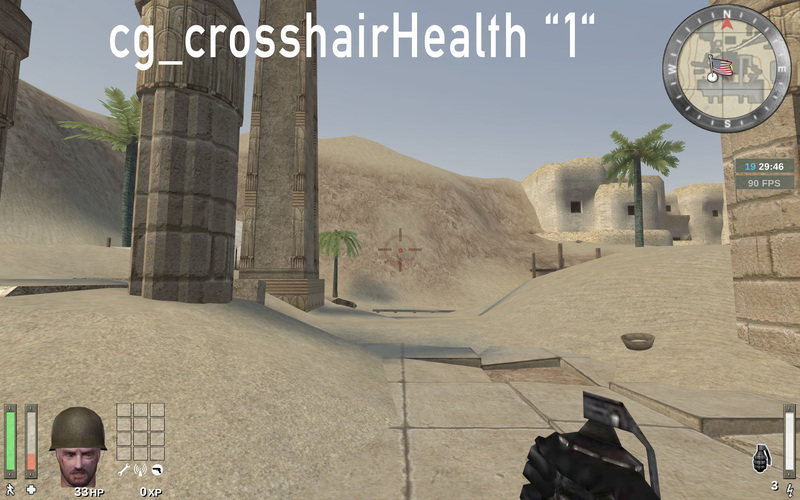 Colors the crosshair based on current health (overrides cg_crosshairColor settings). Increases the crosshair spread/sizing while moving, shooting, etc. 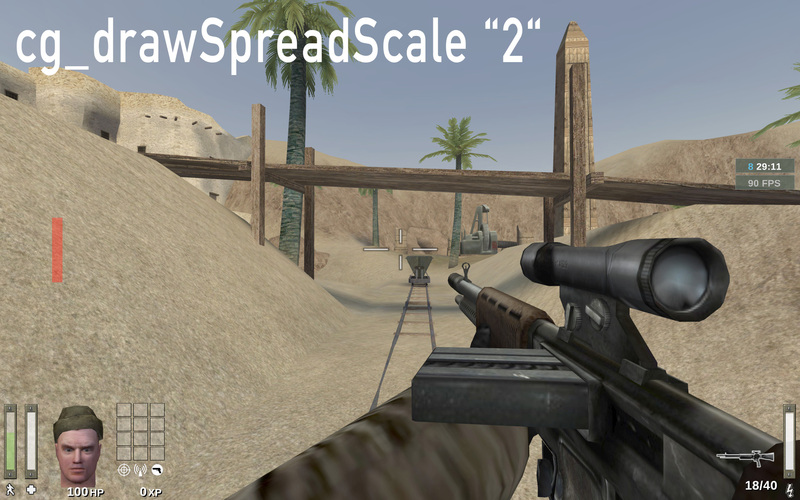 to provide a visual representation of actual weapon spread. Sets the size of the displayed crosshair, in pixels. Offset of the crosshair position on-screen, in pixels. 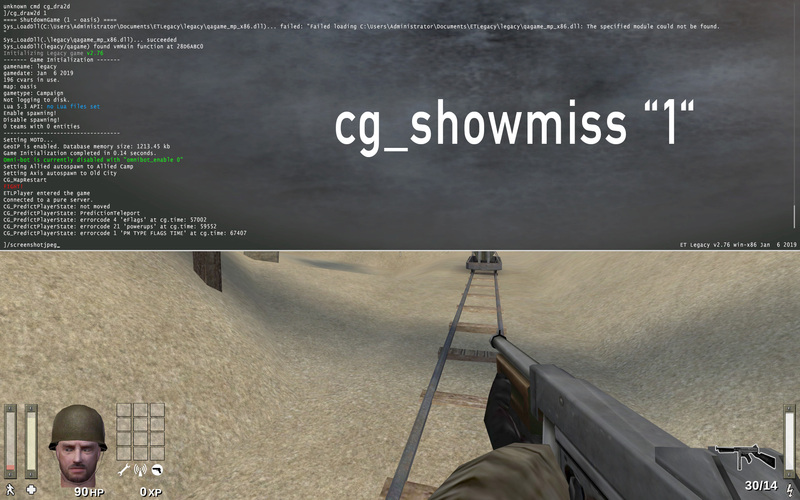 Displays hint and information icons for certain actions when near interactive objects. Doesn’t seem to be doing anything. Would propose to delete anyway. 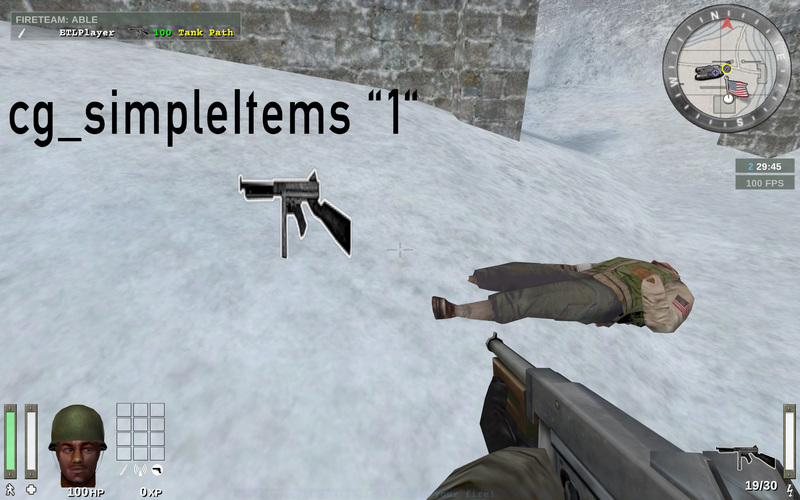 Include non-weapon items when cycling through inventory. 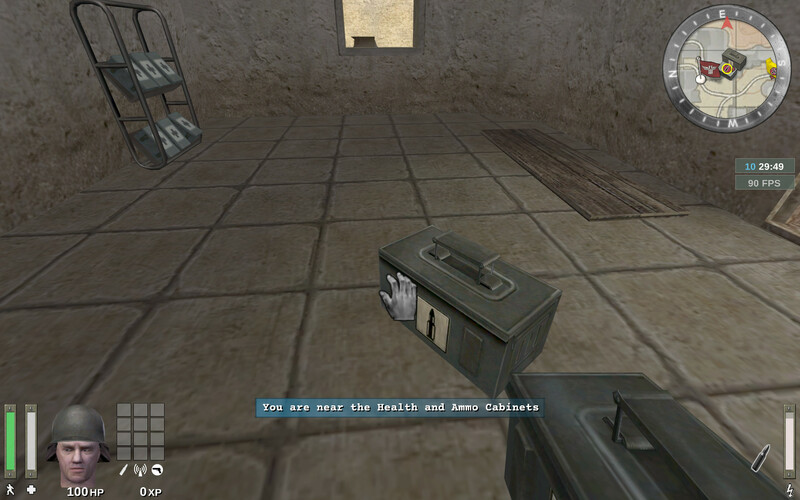 Used to debug player model and weapon animations. When set to "1", the game prints the frametime and title of drawn player model animation in the console. 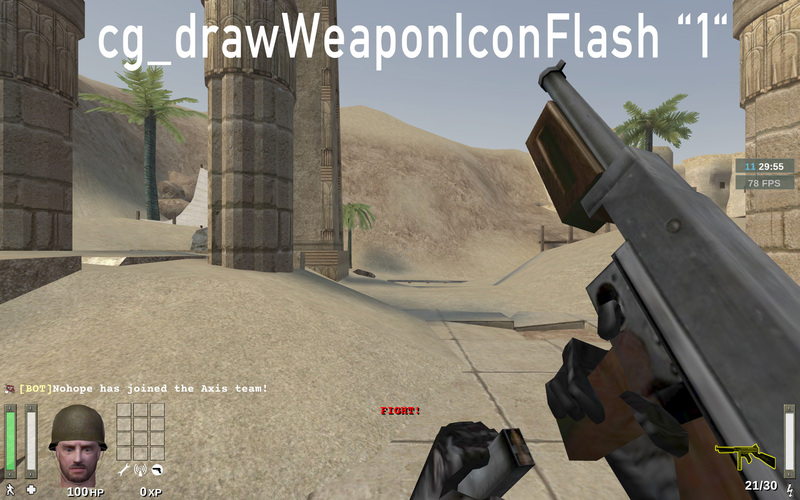 When set to "2", the game prints the drawn weapon animation in the console. 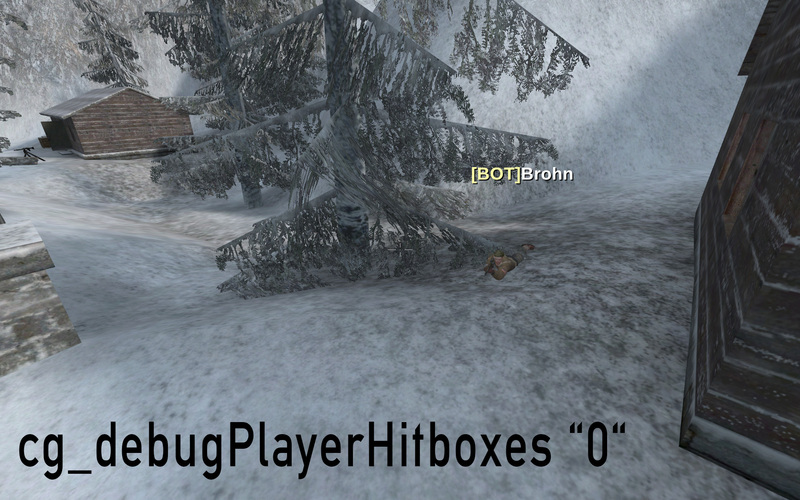 Used to debug player hitboxes. Displays additional descriptive text on the screen. 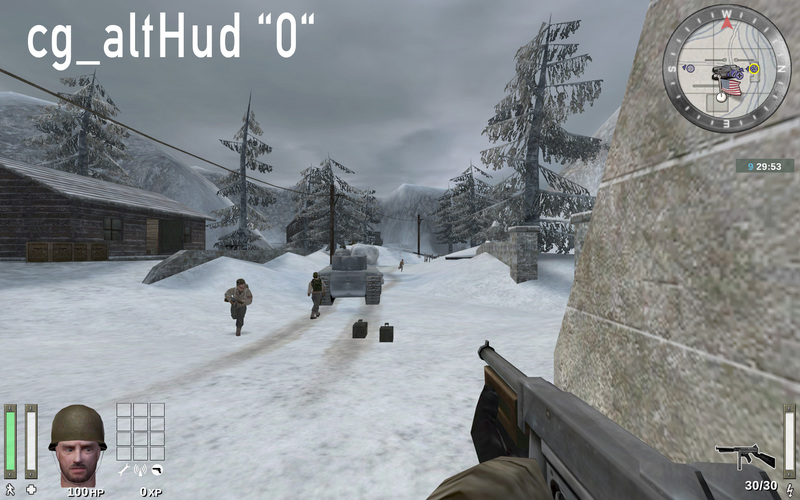 Display all UI and HUD elements. Default: "1" = enabled Possible values: "0"; "1"; "2"; "3"; "4"; "5"; "6"; "7"; "8"; "9"
Choose from 10 different crosshair styles. 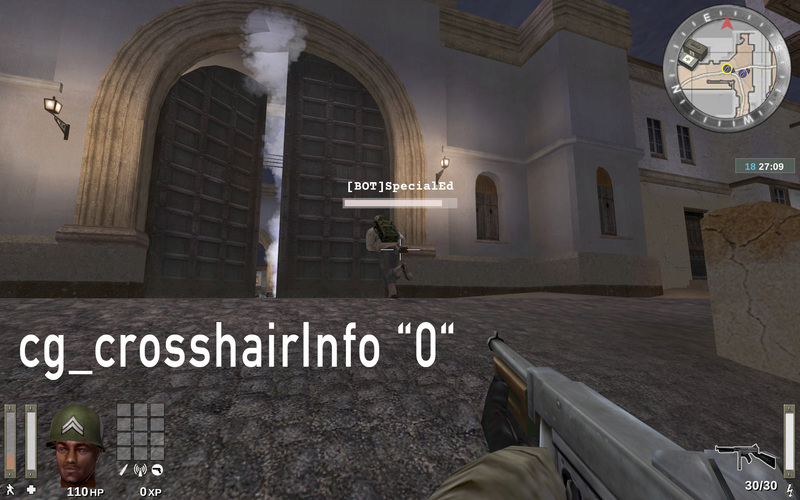 Displays player info when the crosshair is over a teammate. Remove CVAR and add it as bitflag 4 to cg_drawCrosshairInfo. Display names of teammates when hovering over them with your crosshair. 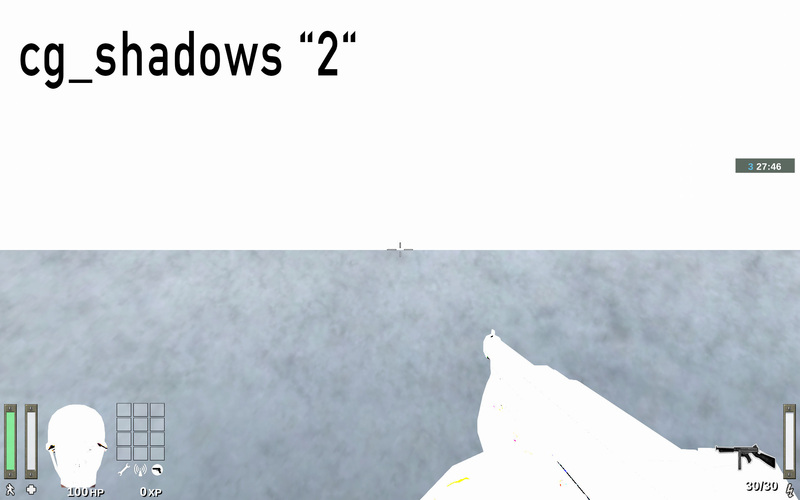 No visible difference between "1" and "2". 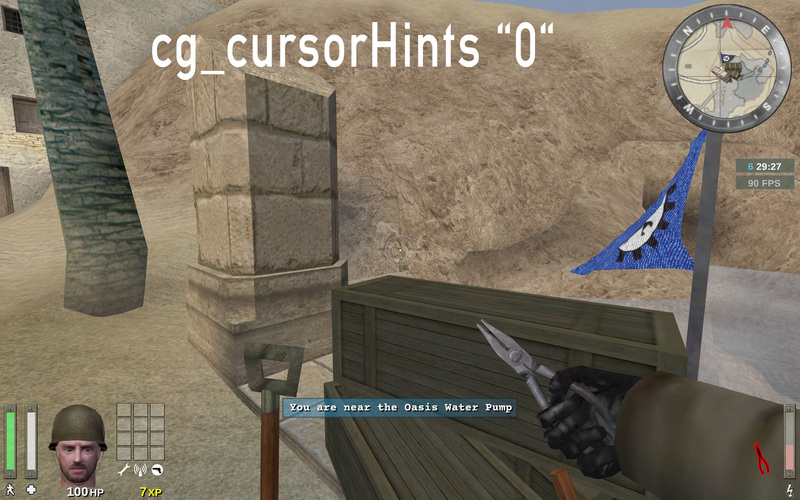 I propose to remove and move functionality to cg_cursorHints. Give pickup items a highlight. Very subtle. 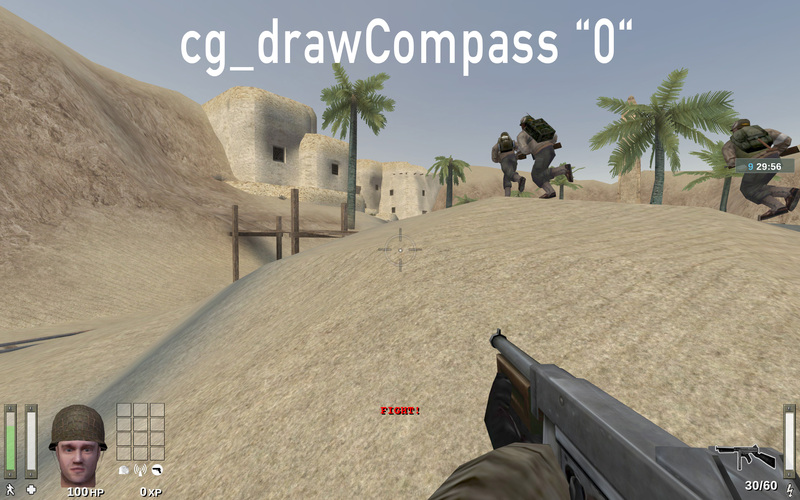 Display a FPS counter in the HUD below the compass. 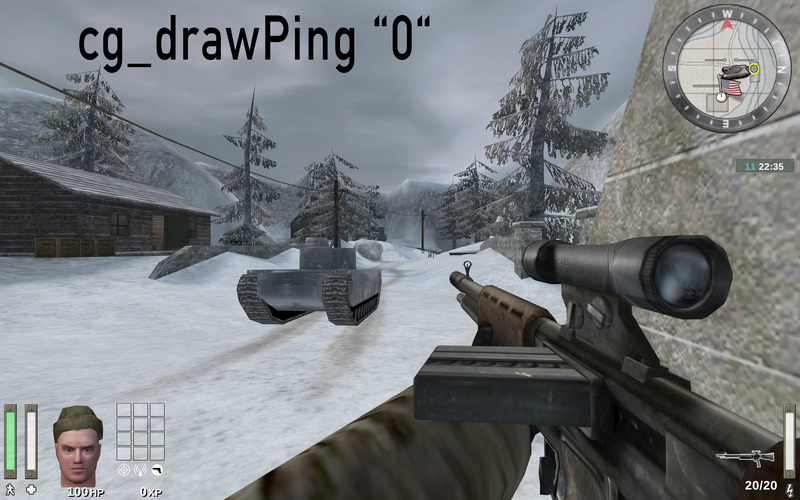 Display the ping in the HUD below the compass. 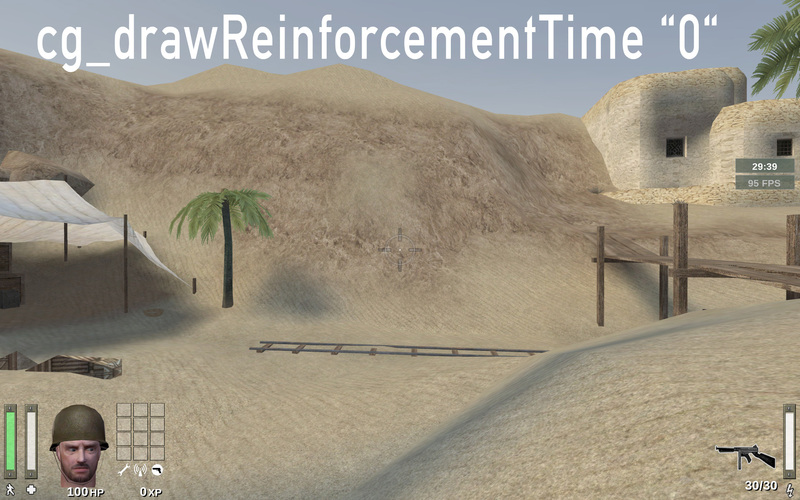 Display reinforcement timer for your team in the HUD below the compass (in light blue). Display remaining mission time in the HUD below the compass. 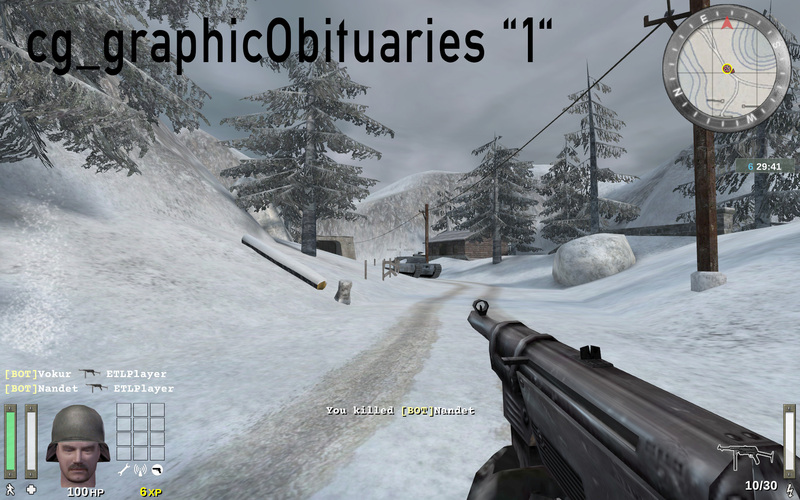 Use small icons for obituary messages. 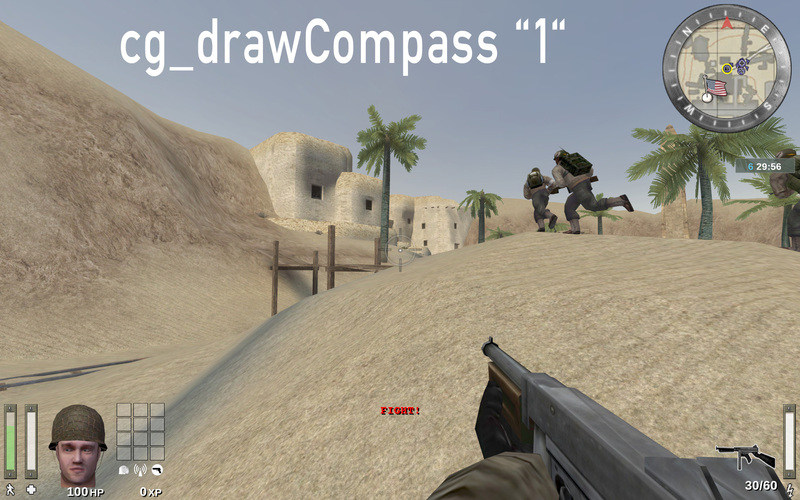 Display the snapshot counter in the HUD below the compass. 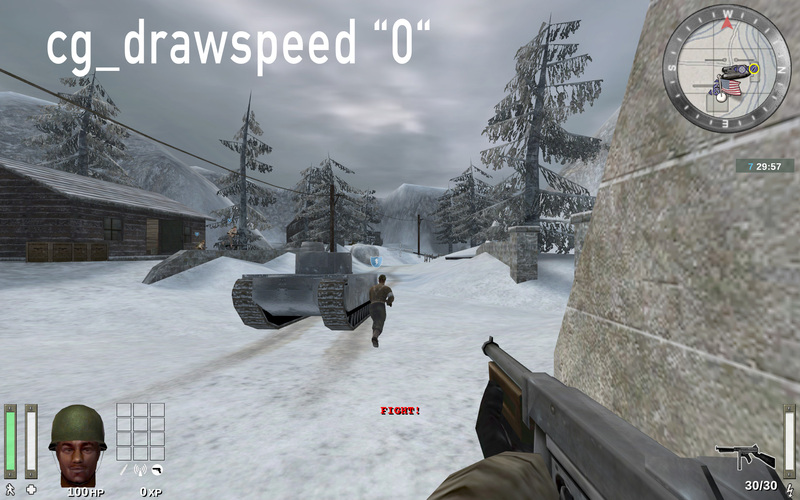 Displays current player speed in the HUD below the compass, in in-game units per second. 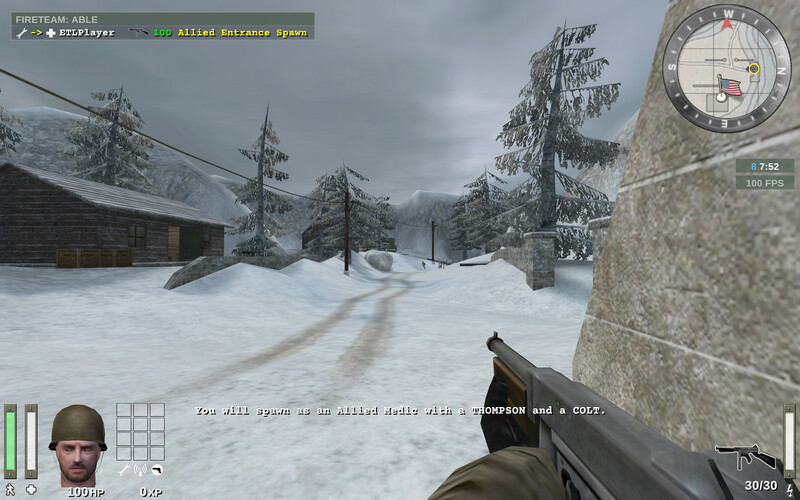 Displays a coloured bar on the left of the screen showing the current weapon spread. Increases when turning around, shooting, etc. 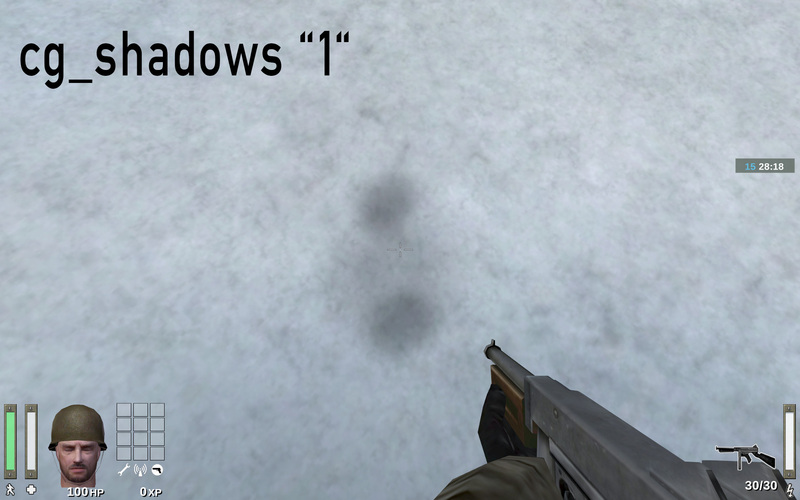 A value of "1" enables it for scoped weapons only. A value of "2" enables it for all weapons. A value of "0" disables it entirely. CVAR is not used, however, has to be kept for compatibility. 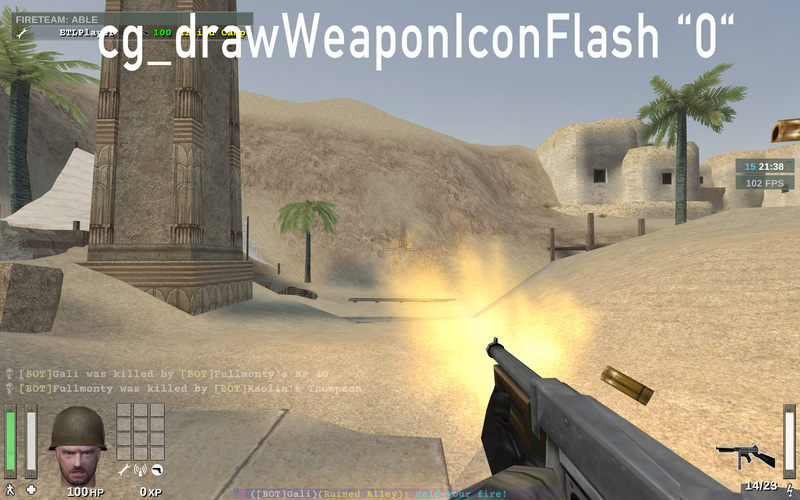 Flashes the weapon icon on the bottom right during certain events. CVAR was a q3 relic and has therefore been removed. Default: "100" Possible values: "0" = disabled; < ? Supposed to decay prediction errors over several frames instead of correcting in one jerk, in frames. Non-user CVAR. Stores ET version for check by the server. 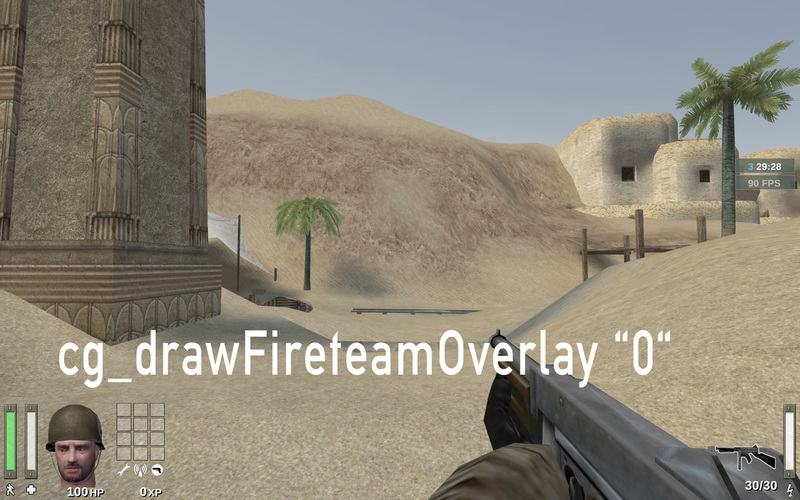 Draw latched class of fireteam members in the fireteam overlay. Default: "0.25" Possible values: "0" = disabled; < ? Set font scale for entitiy/player names when aiming crosshair at them. Default: "0.22" Possible values: "0" = disabled; < ? Set font scale for center prints. Set font scale for side prints. Default: "0.35" Possible values: "0" = disabled; < ? Set font scale for top of the screen prints. 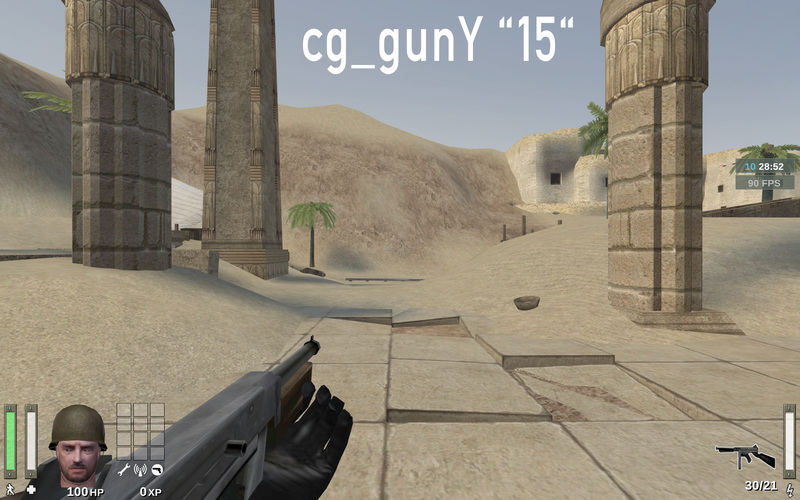 Default: "90" Possible values: "90" - "160"
Why is that necessary when g_gametype exists? Internal CVAR communicated by systeminfo. Doesn’t seem to be doing anything. Likely intended to toggle display remaining bodyparts from splatted bodies. Seems to be unused in ET and ET: Legacy. 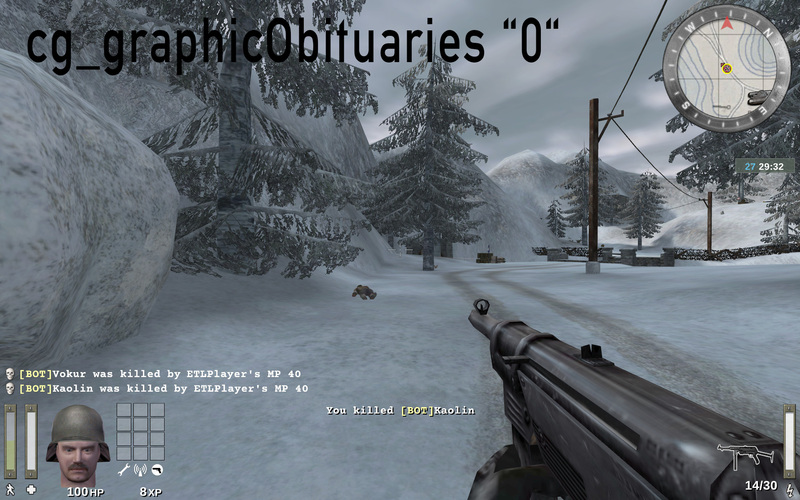 Display simple graphic kill messages to safe space. Default: "0" = disabled Possible values: "0" = disabled; "1" = frame 1; etc. 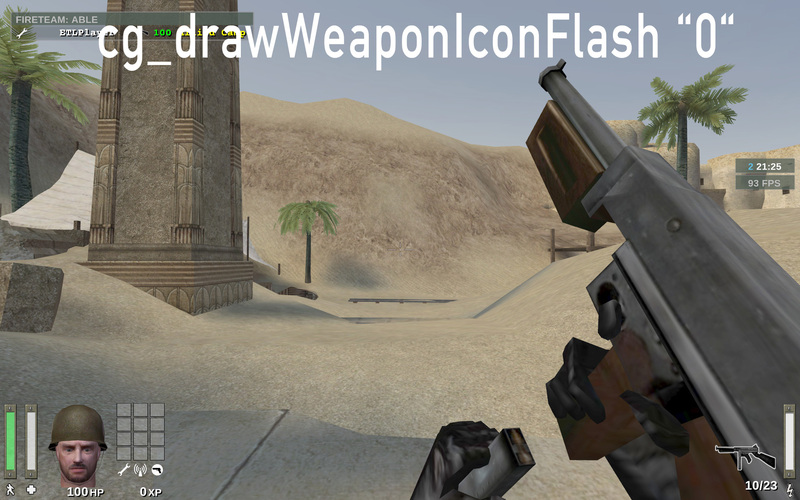 Freeze weapon in the specified (CVAR value) frame. Offset of equipped weapon on screen along the X-axis, in in-game units. 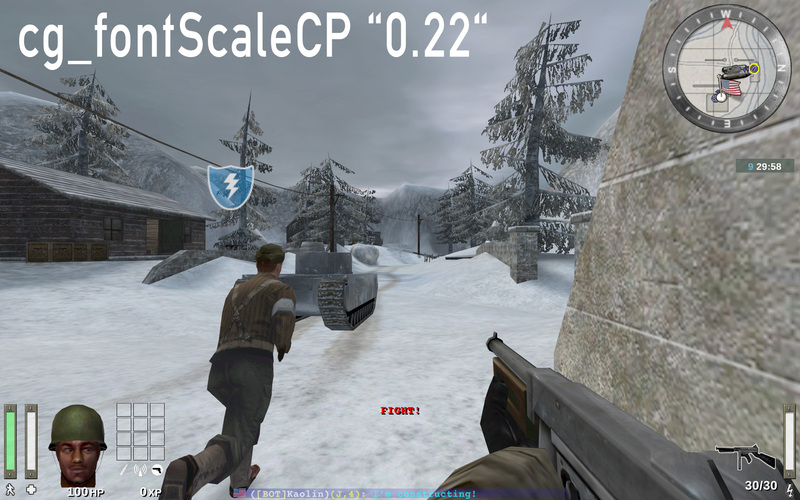 Offset of equipped weapon on screen along the Y-axis, in in-game units. 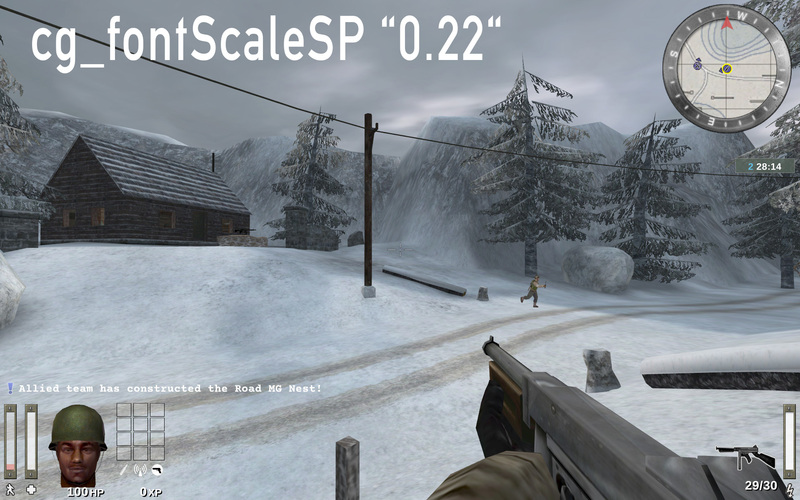 Offset of equipped weapon on screen along the Z-axis, in in-game units. Likely intended to put you directly into the respawn queue without waiting for a revive. Displays a lag’o’meter in the HUD below the compass checking for lag spikes. 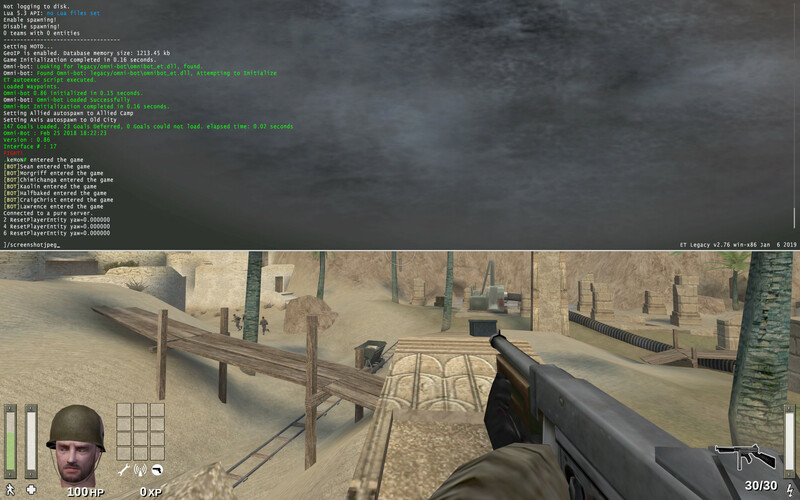 Adds an overlay to the game underneath the HUD at the bottom and top of the screen simulating widescreen. Displays locations instead of map coordinates. Uses data from loc.dat file. 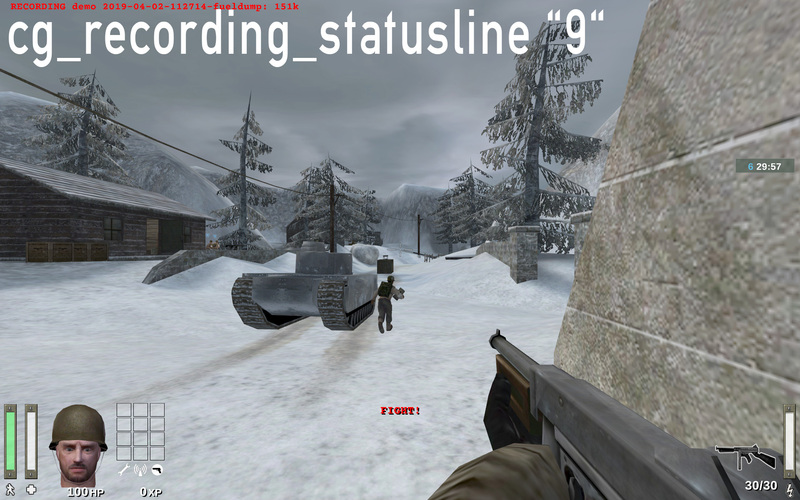 Sets the name of the chat log file or if empty logging is disabled. Default: "20000" Possible values: "0" = disabled; < ? 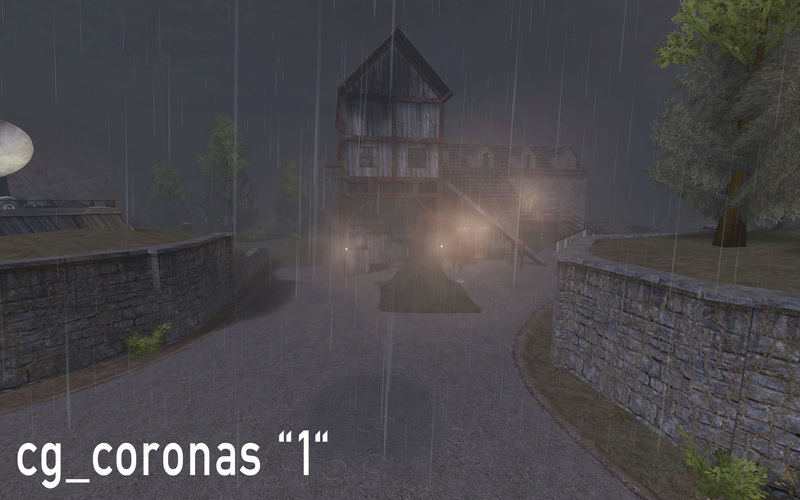 Controls behaviour of location views. What does that CVAR do really? Select the destination of your message. Default: "76" Possible values: N/A. 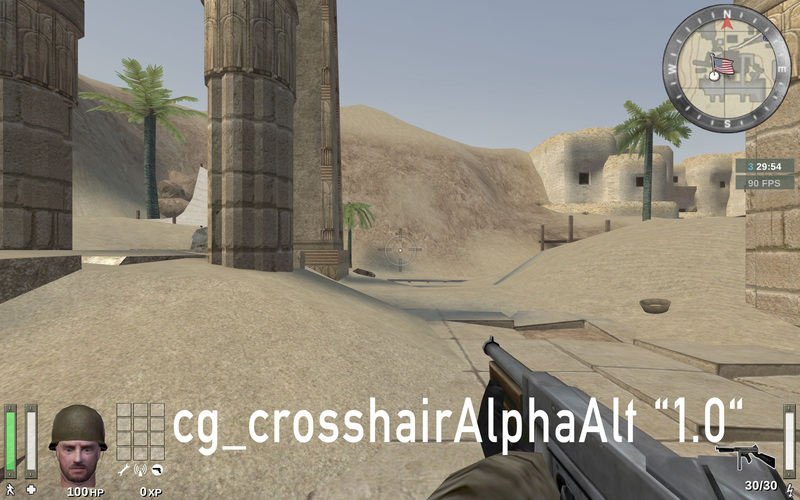 CAREFUL: Do not confuse with cg_autoSwitch! 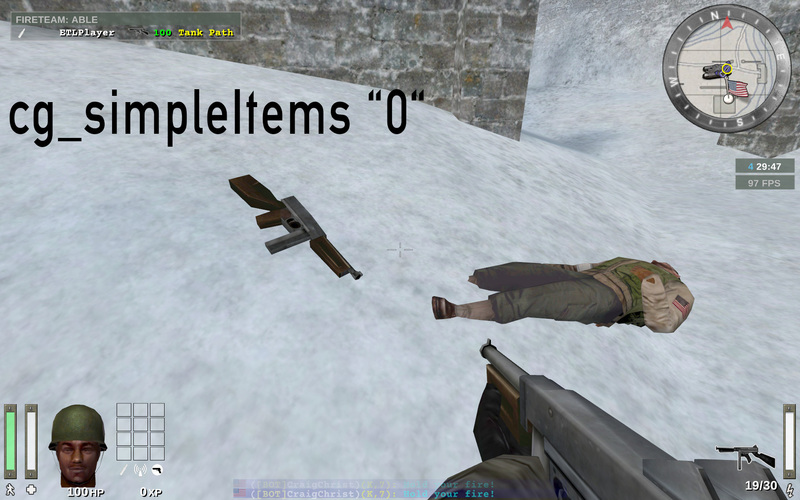 Default: "0" = disabled Possible values: "0" = disabled; "1" = enabled. 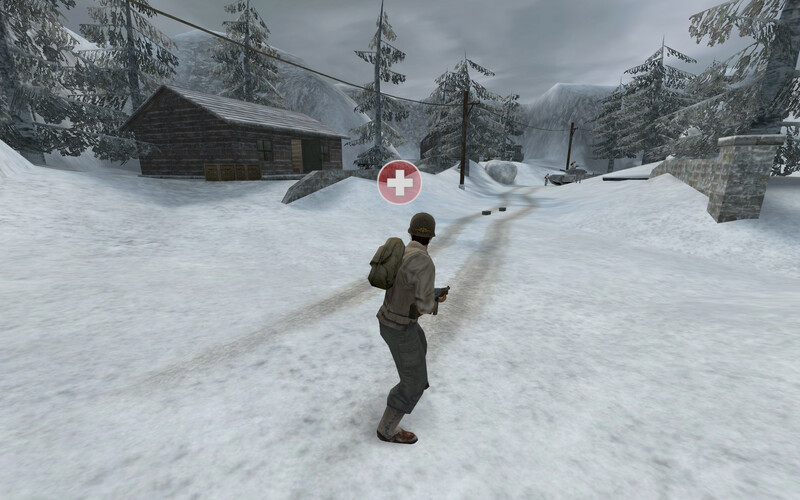 Toggles display of player animations. 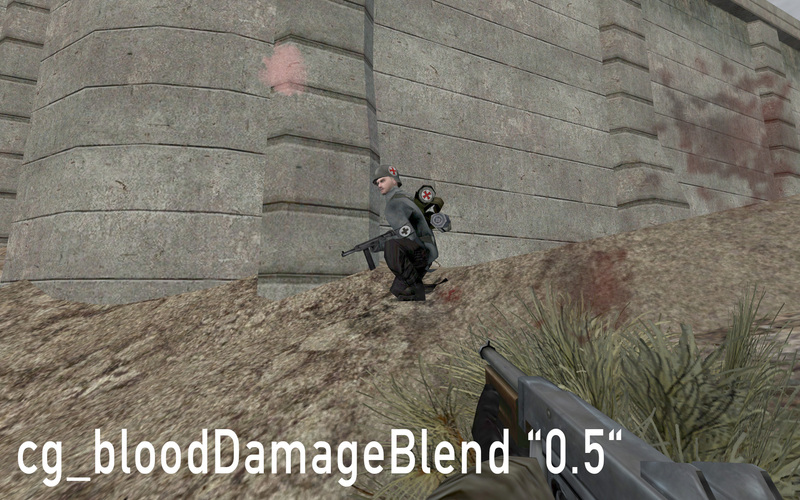 If enabled, animation is fixed in a single frame. Is there a real reason for this? Shouldn’t this be enabled always anyway? 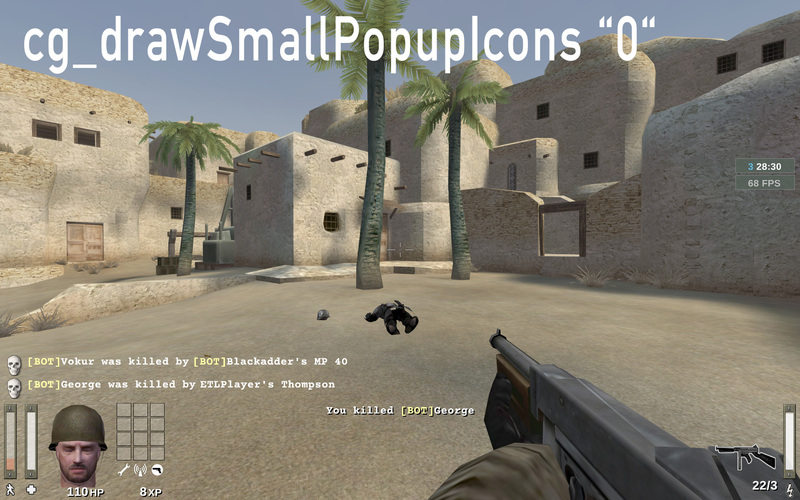 Toggles prediction of player actions (e.g. movement). CVAR was obsolete nonsense and has therefore been removed. CVAR was replaced by cg_voiceChats. CVAR was replaced by cg_voiceText. 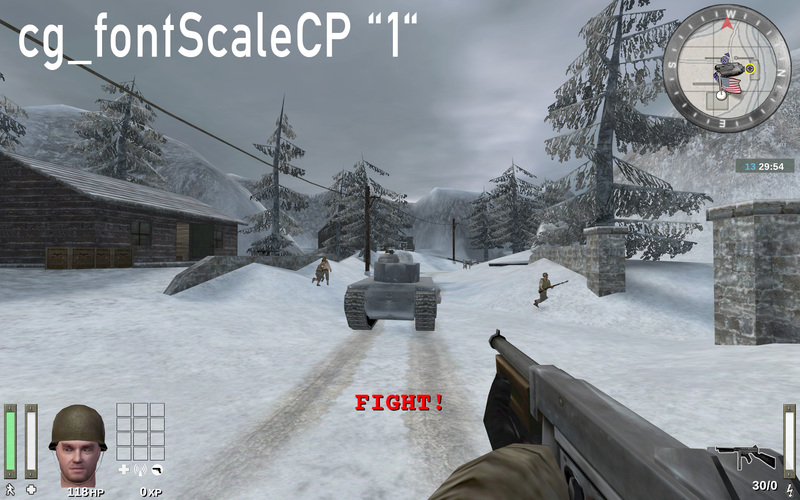 Internal CVAR used to let the game behave differently when paused. What popups is that related to? Default: "2500" = 2.5 sec Possible values: "0" = disabled; < ? Duration of the fading effect of popups. Default: "2000" = 2 sec Possible values: "0" = disabled; < ? Duration for which popups stay active. Toggles use of prediction for picking up items. Prints important game messages to the console. Specify receiver of quick radio messages. 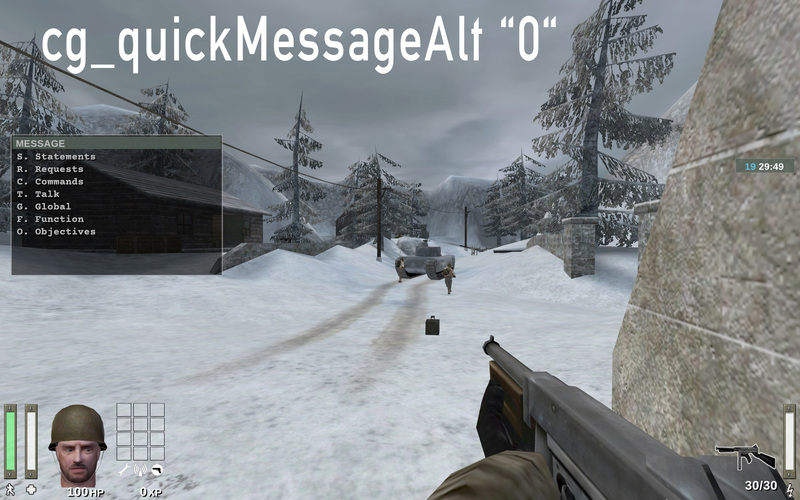 Toggles using either numbers or letters for the quick chat menu. Why is that necessary when auth_rconPassword exists? Since it’s read-only anyway and the client should not be able to set this, can it be removed? 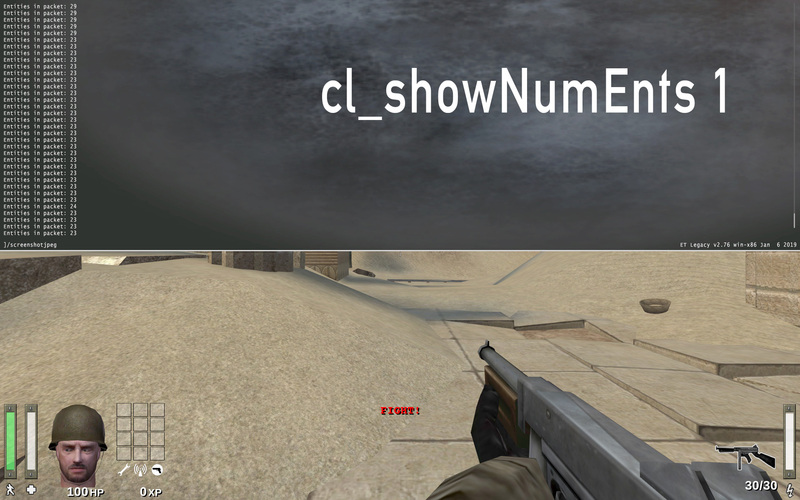 Read-only CVAR encoding the kick angles into a 24-bit number, for sending to the client exe. 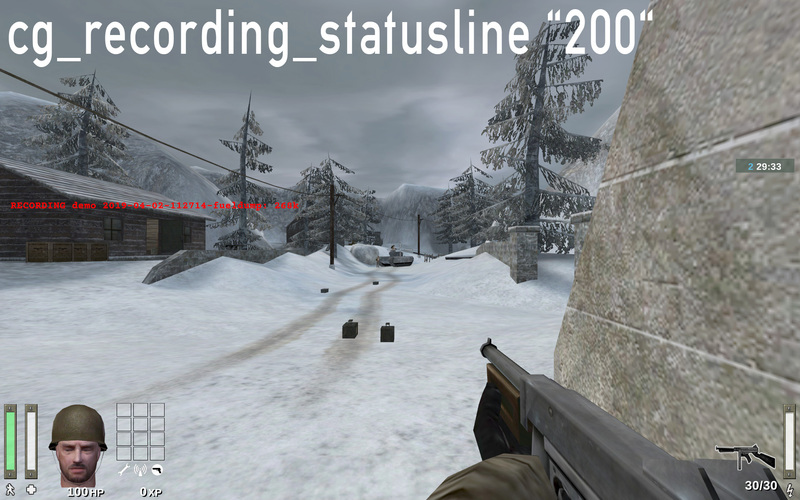 Offset of the recording statusline on screen. Why is that necessary when auth_refereePassword exists? 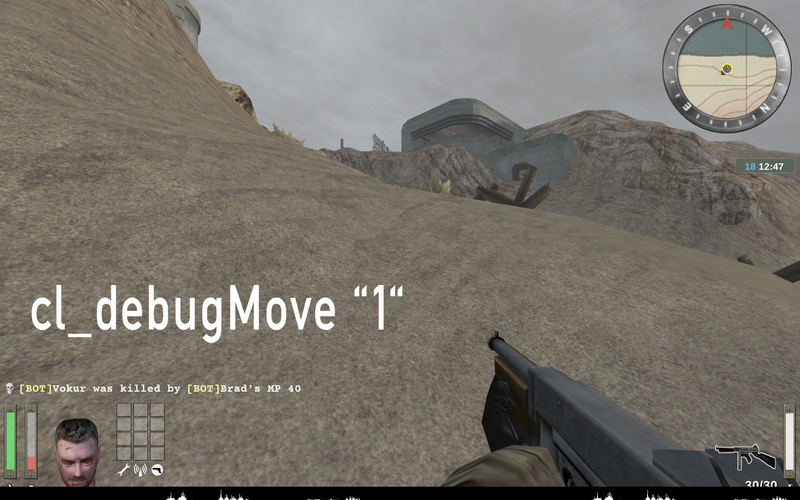 CVAR was bugged and has therefore been removed. Used to cycle between XP and Skill Rating (SR) scoreboard. 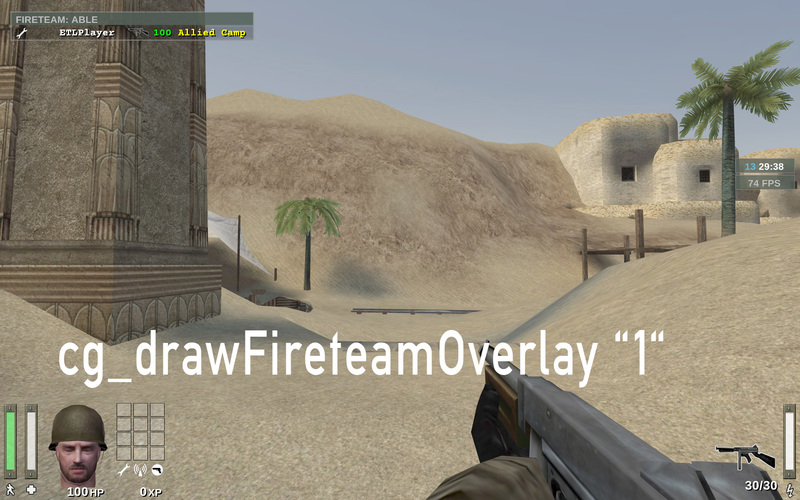 Display player shadows underneath the player. Also note that Stencil, Projection and Polygon are currently broken. Print faulty predictions into the console, for debugging purposes. 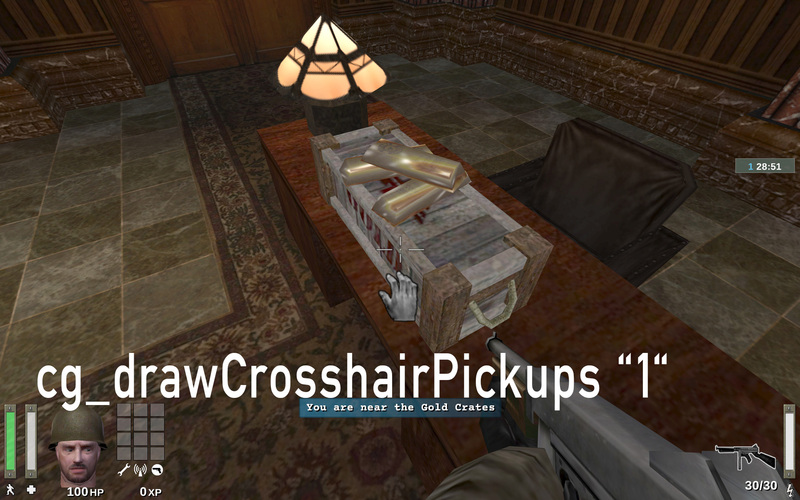 Use minimalistic icons for item pick-ups. Likely intended to toggle display of the skybox. This is bad! Don’t add CVARs that can, but shouldn’t be modified!! CAREFUL: Don’t modify. Use console commands /timerSet and /resetTimer instead. 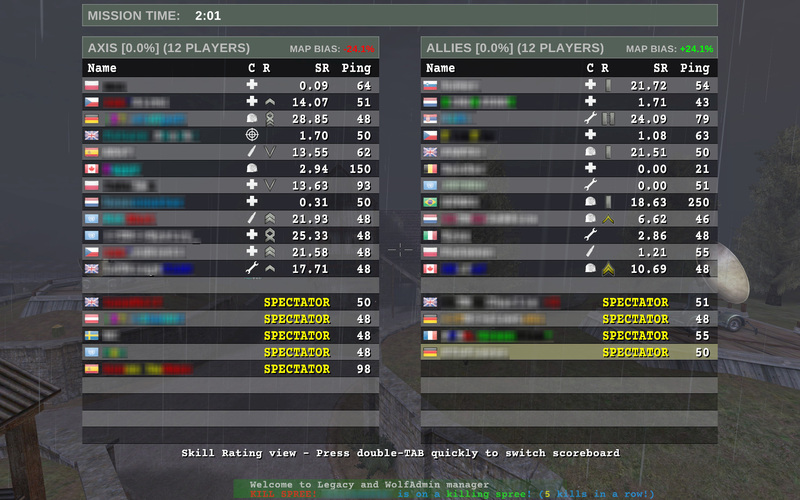 Toggle display of spectator help, only in multiview. Prints client frame in the console, for debugging purposes. Default: "0.1" Possible values: "0" = never turn; < ? 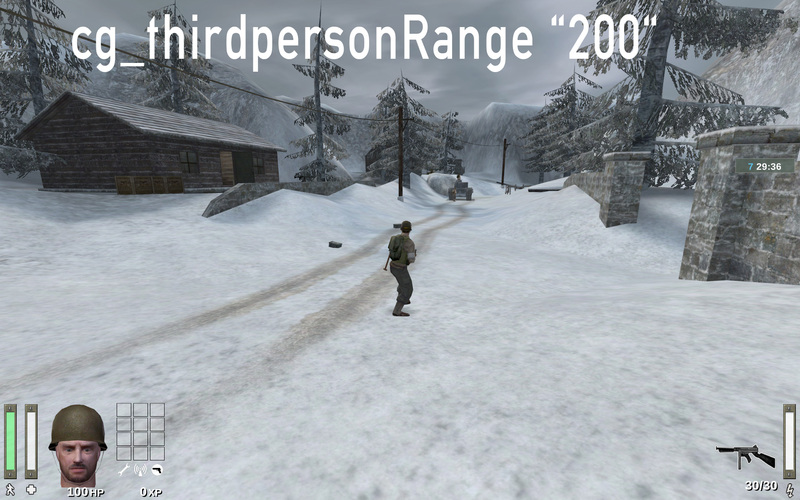 Speed at which the thirdperson player model turns around when looking around. Default: "8" = 8 lines Possible values: "0" = disabled; "1" = 1 line; etc. Specifies the amount to chat messages are displayed at max, in lines. 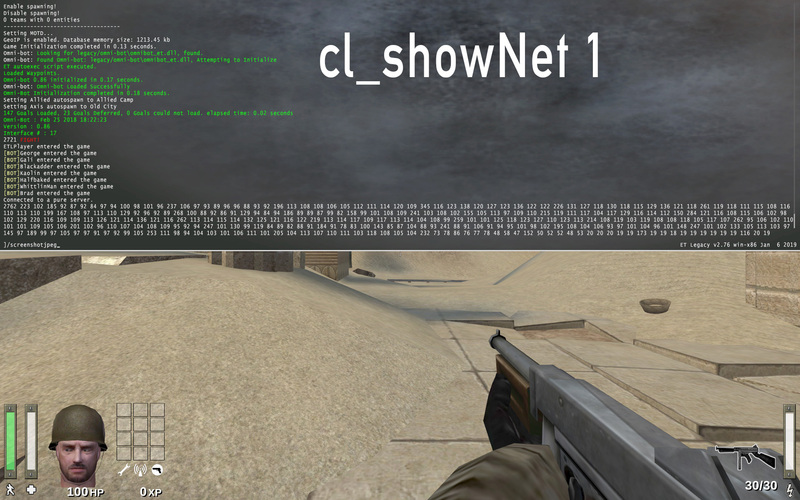 Replace with bitflag CVAR to choose which chats to display. 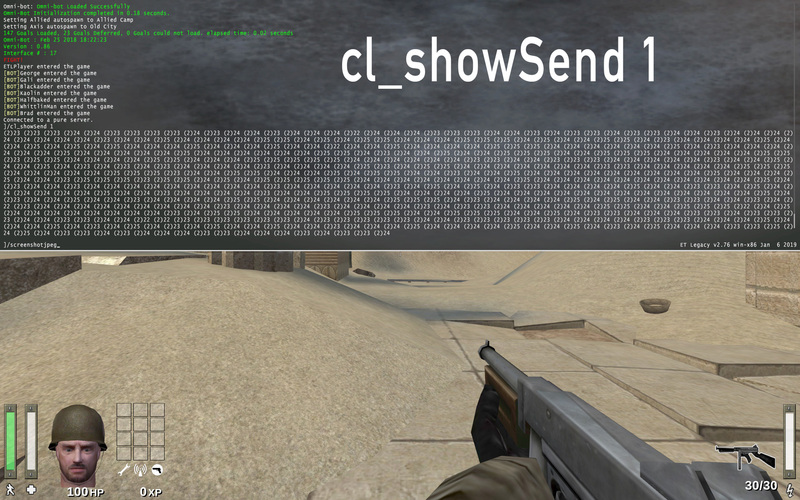 Filers global chat messages and only displays team and fireteam chat. Default: "8000" = 8 sec Possible values: "0" = disabled; < ? 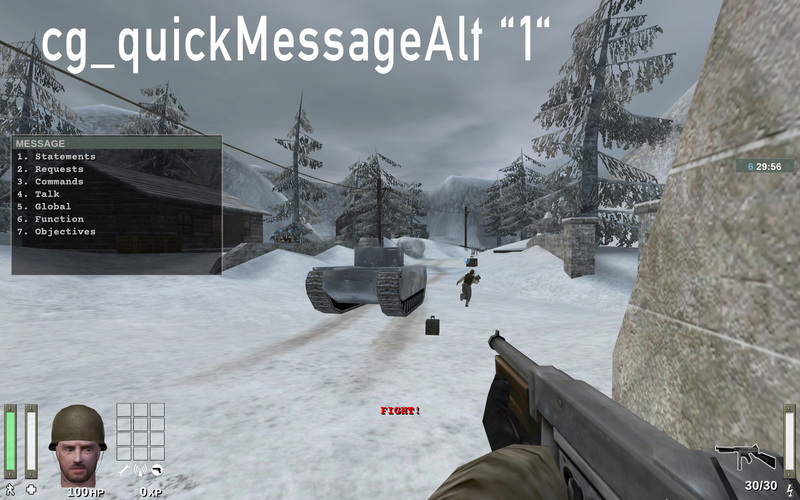 Duration for which messages in the chat are kept on display, in milliseconds. Specifies the angle of the thirdperson perspective. Default: "80" Possible values: ? < ;"0" = above head; < ? Specifies the distance from camera to player origin, in in-game units. 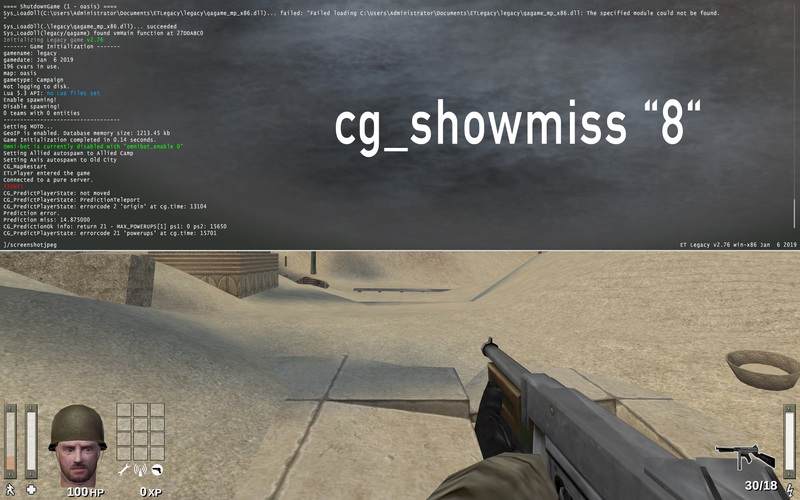 unknown CVAR in-game, but used in code. Choosing which tracers to display. 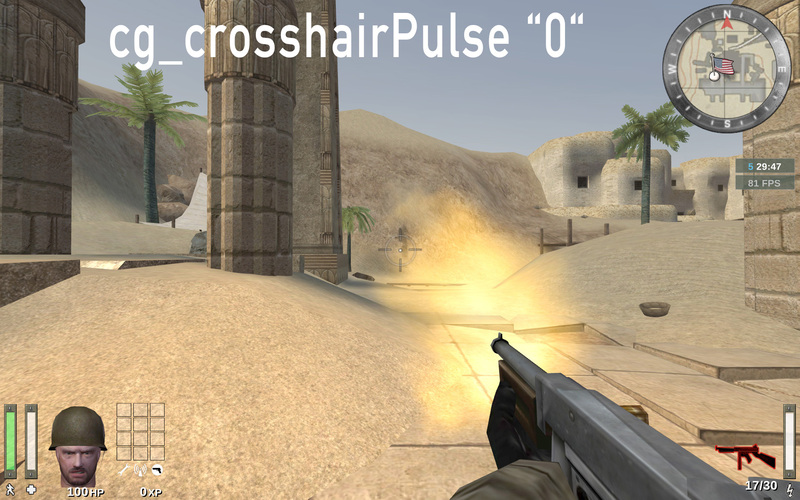 Probability that a shot creates a bullet tracer. Default: "160" Possible values: "0" = disabled; < ? Default: "4500" Possible values: "0" = static; < ? Default: "0" Possible values: "0" = disabled; < ? Displays the sum of available voting flags. shuffle teams by XP = "256"
shuffle teams by SR = "512"
shuffle teams by XP (NO RESTART) = "4194304"
shuffle teams by SR (NO RESTART) = "8388608"
Since it’s read-only, can it be removed? Read-only CVAR holding flags identifying rights of the player. Specify which file format should be used for screenshots taken with "autoScreenshot". 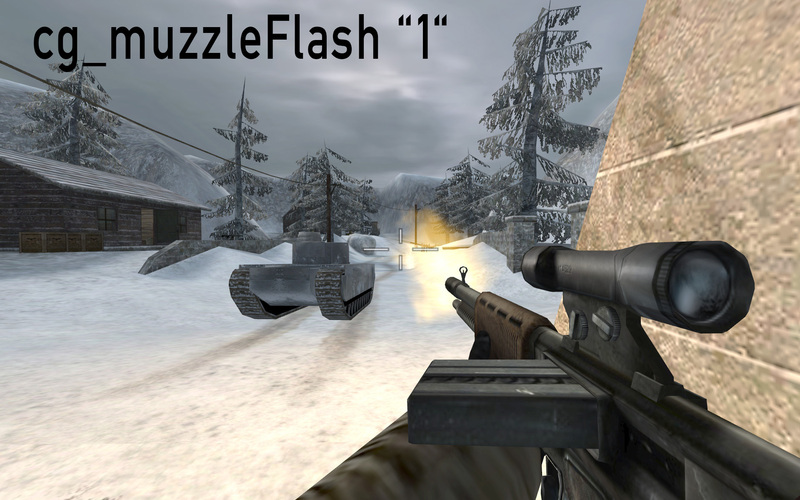 Allows the use of weapon switching keys for zooming. Likely intention: Set the % of screen actually displaying rendered game. 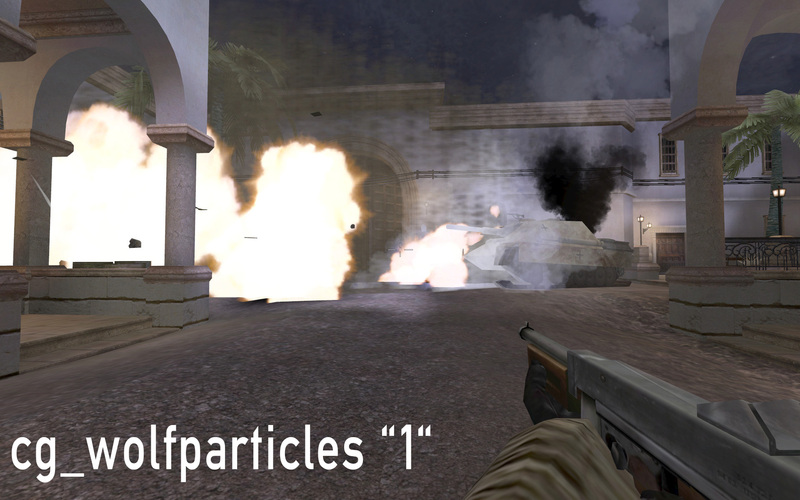 Draws additional visual effects (airstrike planes, debris). Play voice chat sound file in-game when using quick chat (e.g. v21 for Need a Medic!). Show voice text lines in-game when using quick chat (e.g. v21 for Need a Medic!). Default: "6000" = 6 sec Possible values: "0" = disabled; < ? 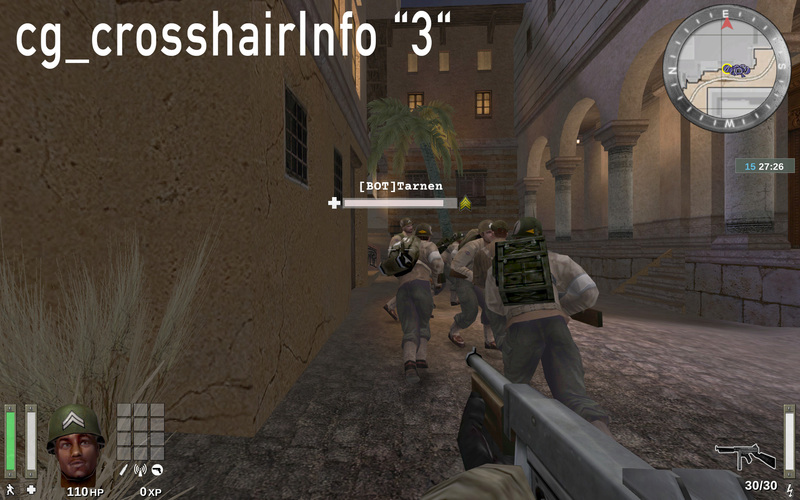 Duration for which the chat icon appears above other players’ heads, in milliseconds. What does that CVAR do? Default: "150" Possible values: "0" = disabled; < ? Duration for which a pause is enforced so keeping the weapon switch key activated won’t trigger too fast, in milliseconds. 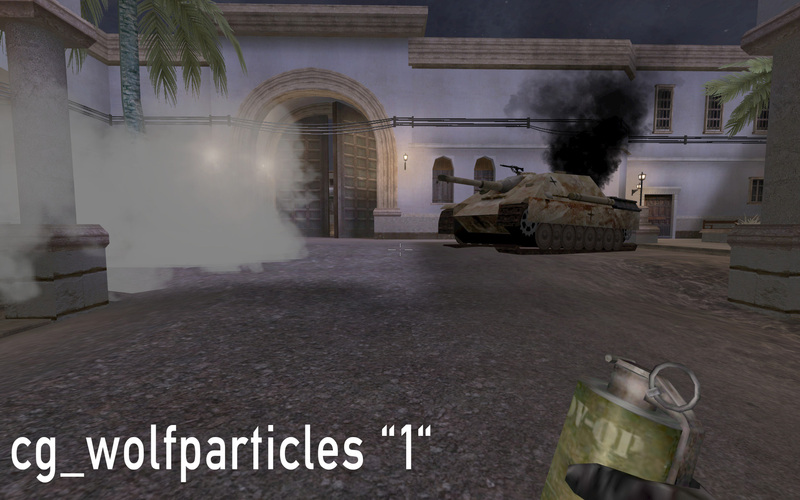 Toggles display of 'particle effects’ like explosions and non-player smoke. 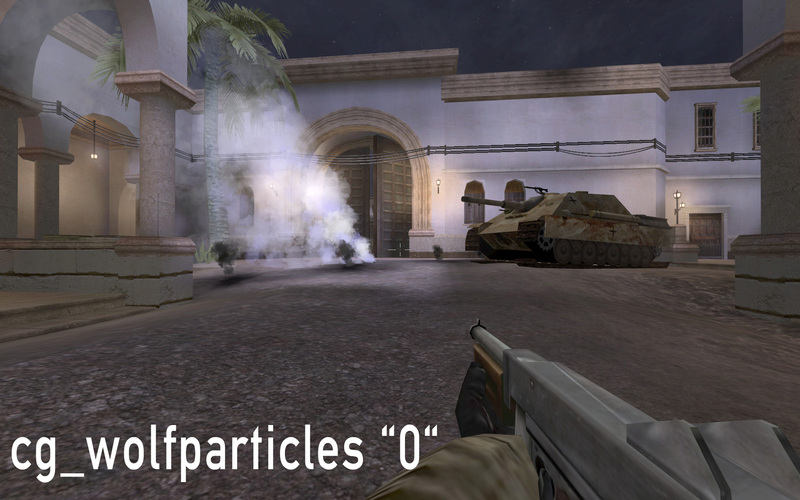 Smoke from player abilities (e.g. 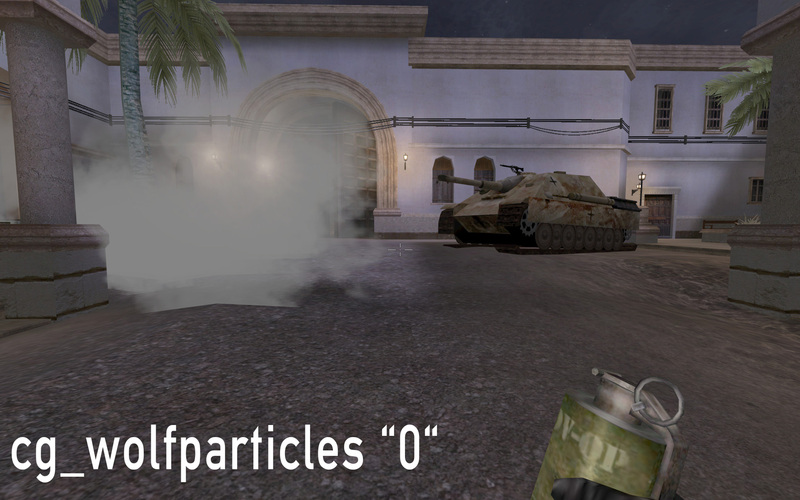 cvop’s smokebomb, fieldop’s airstrike marker) are exempt. This CVAR is horribly implemented! 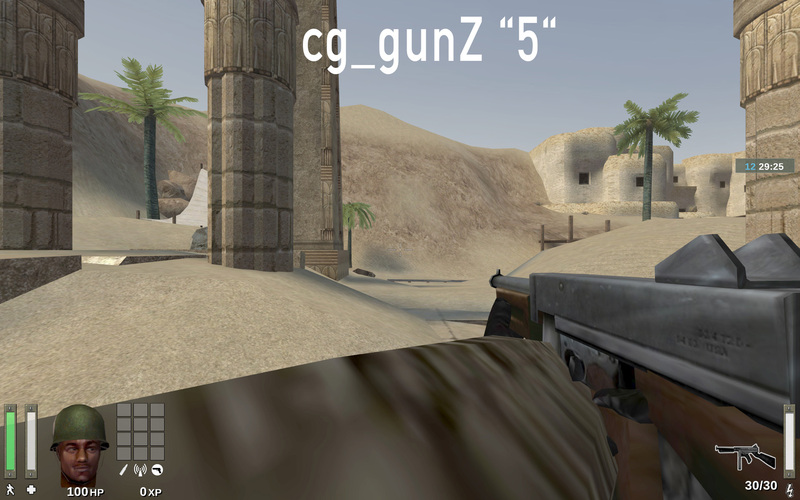 Fix (or remove) and rename to cg_zoomDefault since it’s not limited to sniper. Default: "20" Possible values: "0" = disabled; < ? 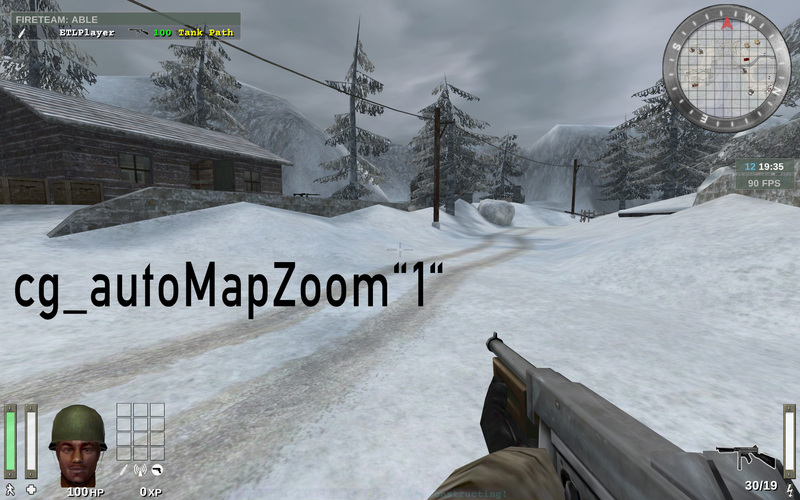 Sets the default level of zoom for binoculars, sniper and FG42. This CVAR is absolutely borked!!! A value of 0 disables zooming, but also screws up the display. It is possible to set a value of 1 for closer zoom than allowed. It is possible to set values significantly above 20 zooming out! 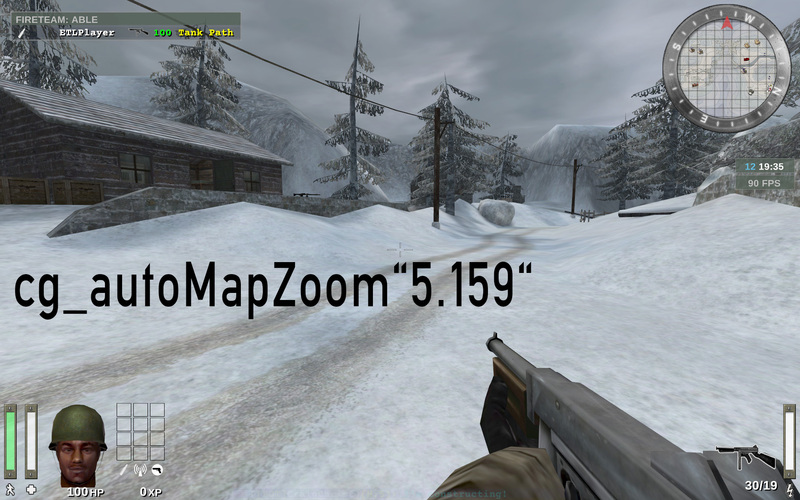 you can actually set a higher zoom as default and have an FG42 with closer zoom, breaking its intended behaviour! 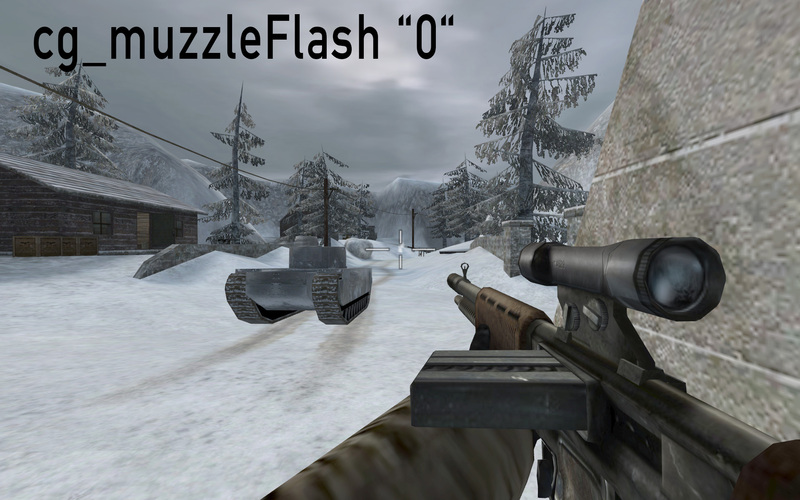 It would therefore be possible to have different default zoom binds and simply unscope, change and scope in to adjust FG42 zoom. 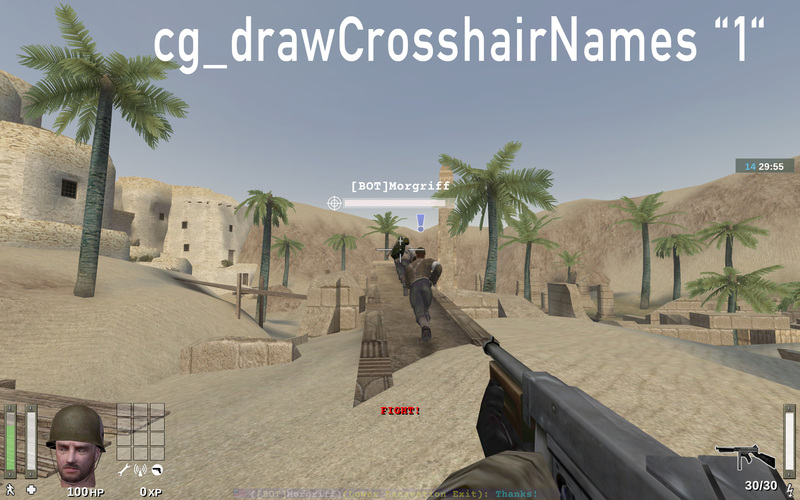 Rename to cg_zoomStep as it’s not limited to sniper. Default: "2" Possible values: "0" = disabled; < ? Specifies the amount of levels one key activation zooms in or out. 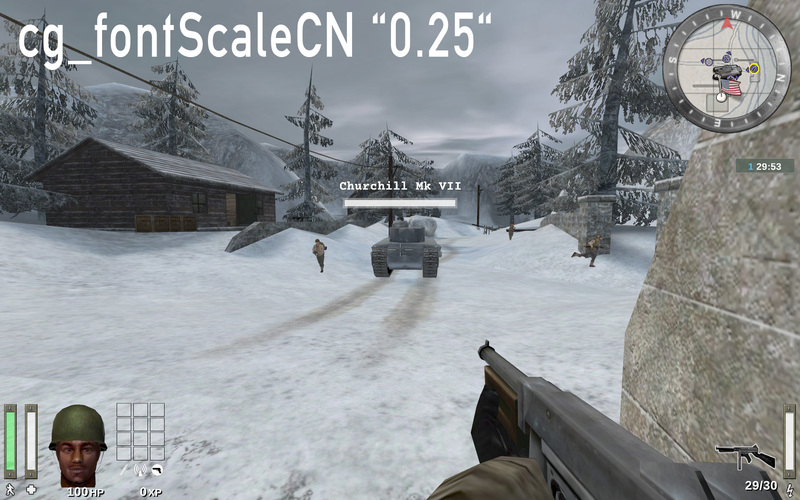 This CVAR applies to binoculars, snipers and FG42. CVAR seems to have no effect? 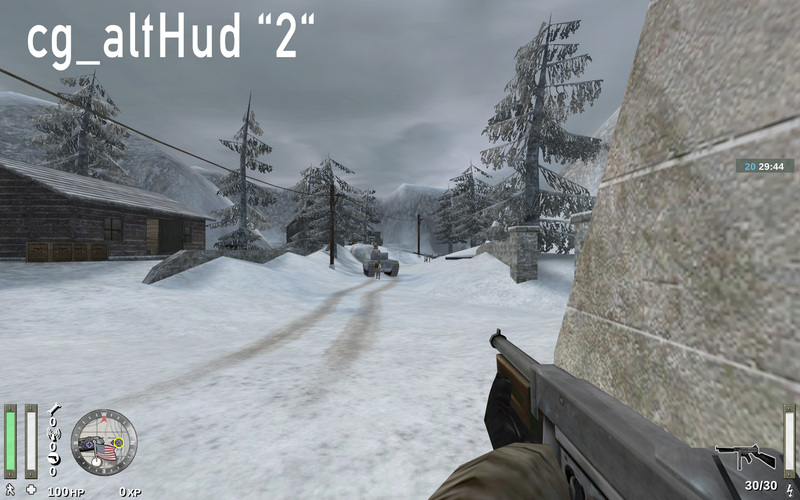 unkown CVAR ingame. What is it used for? Download missing files when available. CVAR unused in ET and ET: Legacy. Safe to remove? Likely intended to adjust the speed for turning around. CVAR looks unused. Also cg_autoAction is a thing. Likely saves the specified amount of jpeg screenshots per second. There are way too many avi demo related CVARs. Are all of them necessary? The user should not be able to set this! This should be hard-coded behaviour anyway. Can CVAR be removed? 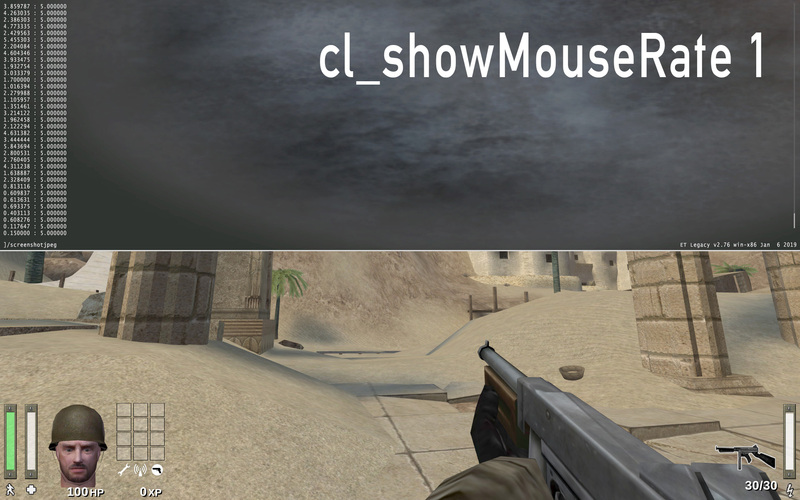 Used to bypass mouse input in-game while menus are active. Enables some sort of data caching. Maps seem to load faster when loaded again. No info on what exactly gets cached found. What does this CVAR do? can this be renamed to con_consoleKeys, because shouldn’t it be rather in the console related section? Display a bar on the bottom of the screen containing bar charts representing mouse movement. 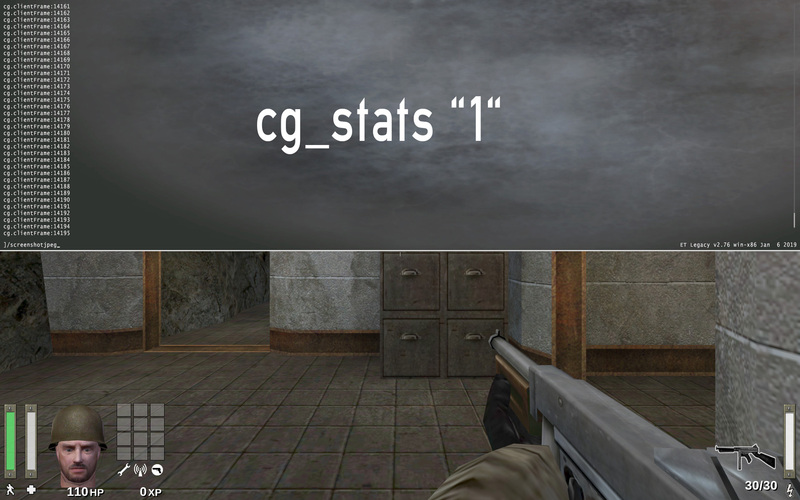 can this be combined with cl_profile? Read-only CVAR setting the default user profile. Go to the PROFILE section in the main menu to set a default profile. Internal read-only CVAR used for demo recording. What is this actually used for? Are there double taps in ET? Default: "350" Possible values: "0" = disabled; < ? Delay between registering key presses for double tapping binds, in milliseconds. 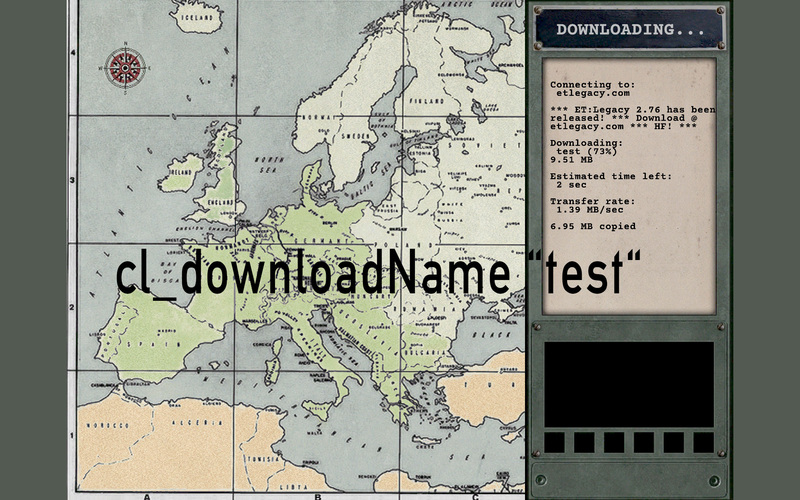 Stores name of file you’re downloading when connecting to a server. CVAR seems to be unused? Enables 'freelook’. When "disabled" only left/right camera movement is possible, up/down is deactivated. Lock or freeze a demo in its current frame. Useful for per frame advances. A GUID, sometimes also referred to as "etkey", is an automatically generated alpha-numerical sequence used to uniquely identify players. 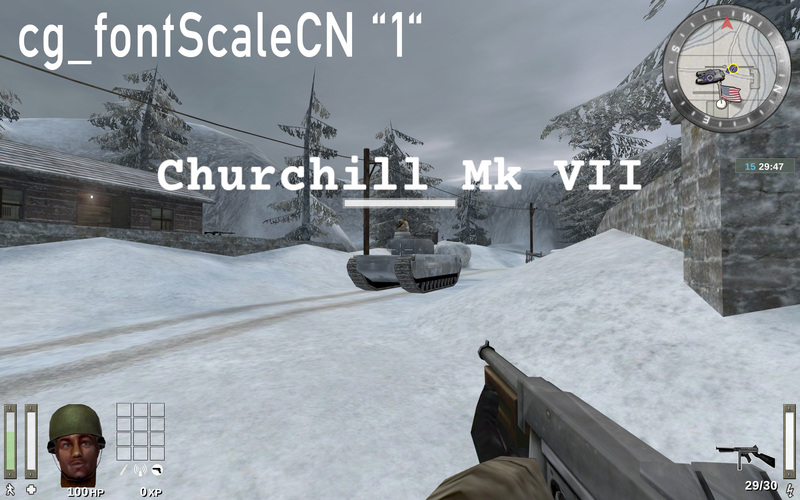 It is stored in the etkey file (path and file structure) and in-game in this read-only CVAR. 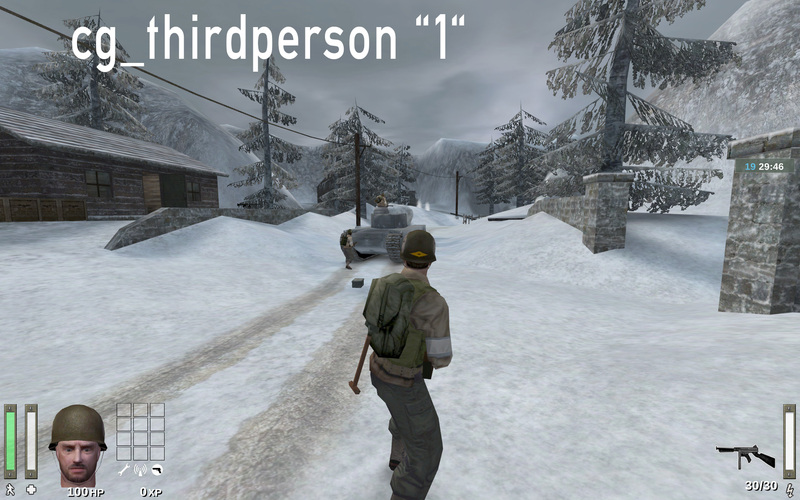 Default: "1" Possible values: N/A. Is this necessary? Isn’t this the point of Transifex? Prints a list of missing translations for the selected language to console and also creates a text file with missing translations. 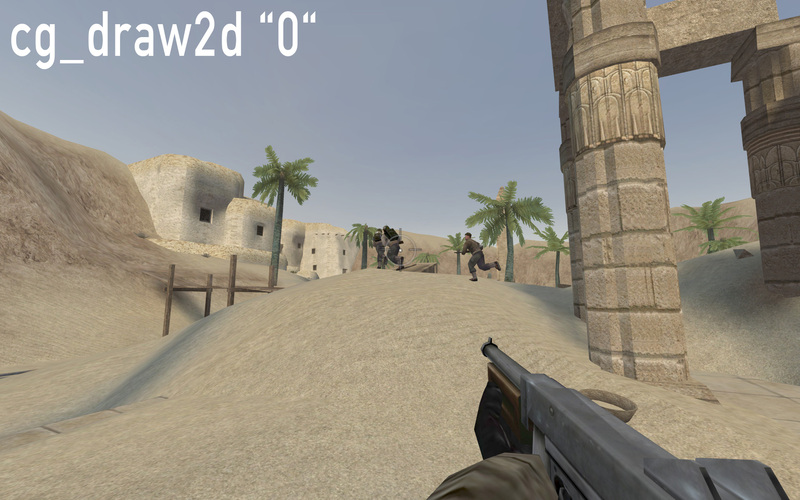 CVAR was removed in favour of cl_lang for improved language support. What unit is this in? As in, what does the 125 represent? Default: "125" Possible values: between "15" and "125"
Cap for upstream data packet transmissions. 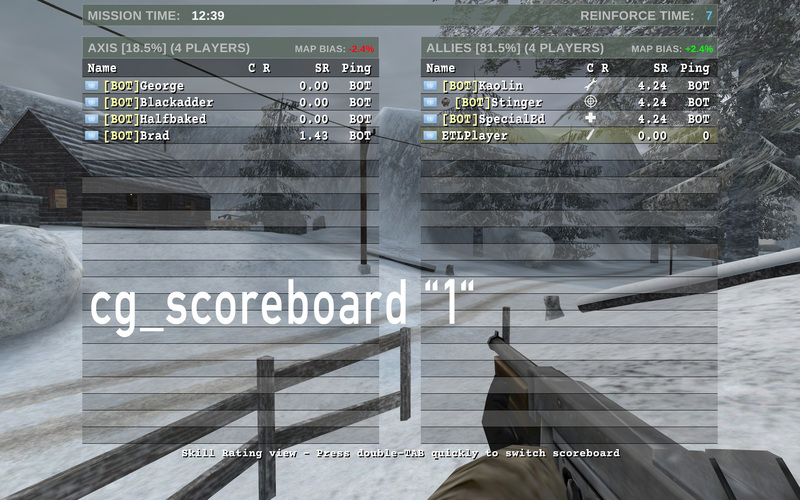 Default: "800" Possible values: between "100" and "999"
Specify the max allowed ping to a server. 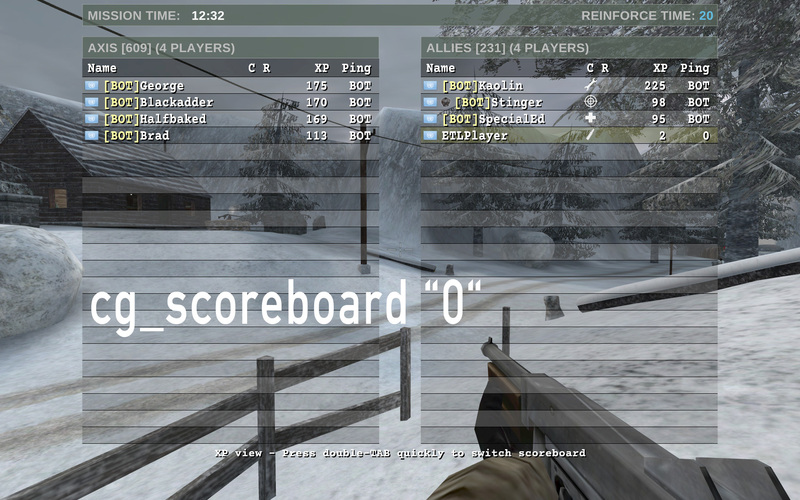 Servers exceeding this ping will not be displayed in the server browser. Default: "1" Possible values: between "100" and "999"
Likely use: Fetch the "Message-Of-The-Day" from the masterserver. Likely use: Storing the fetched "Message-Of-The-Day" from the masterserver. CVAR looks unused. Safe to delete? CVAR seems to be unused. 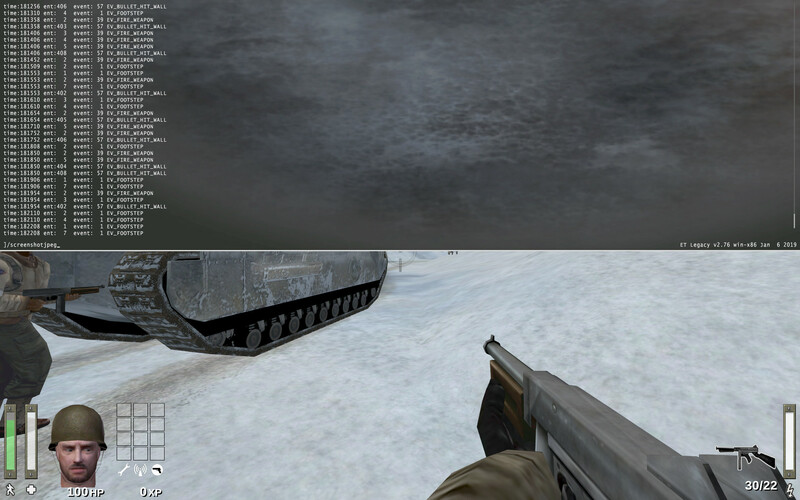 Likely intended to toggle mouse acceleration. CVAR seems to be unused. 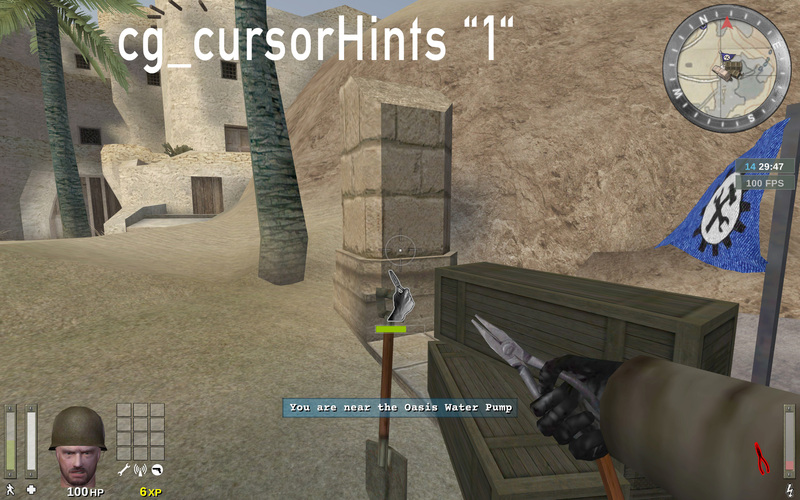 Enable printing of information in the console. Description copied from antman. Correct? Default: "1" Possible values: between "0" and "5"
Number of duplicates for every data packet sent upstream. Can this be combined with cg_paused? 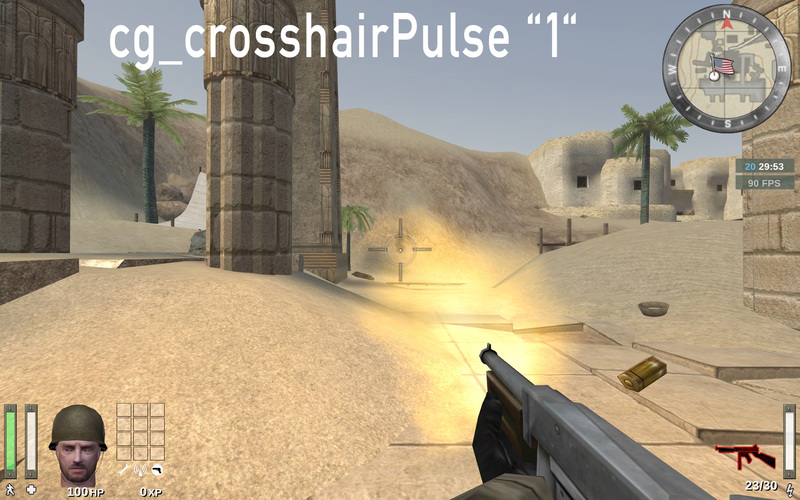 Internal read-only CVAR to toggle functionality of paused games. +up and +down have been removed so this CVAR is pointless, no? Specify the speed of +up and +down keys. 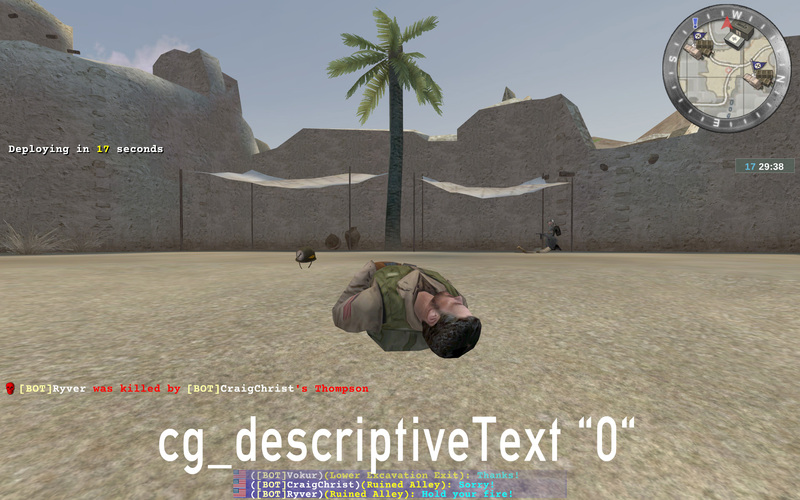 Can this be combined with cl_defaultProfile? Also, can this be made non-read-only? Read-only CVAR specifying the currently selected profile. To change the profile, you need to go to the "PROFILE" section in the main menu. NOTE: Punkbuster dropped support for ET. This CVAR is only present to ensure compatibility. Unknown CVAR, but mentioned in code. Points to cg_recoilPitch. 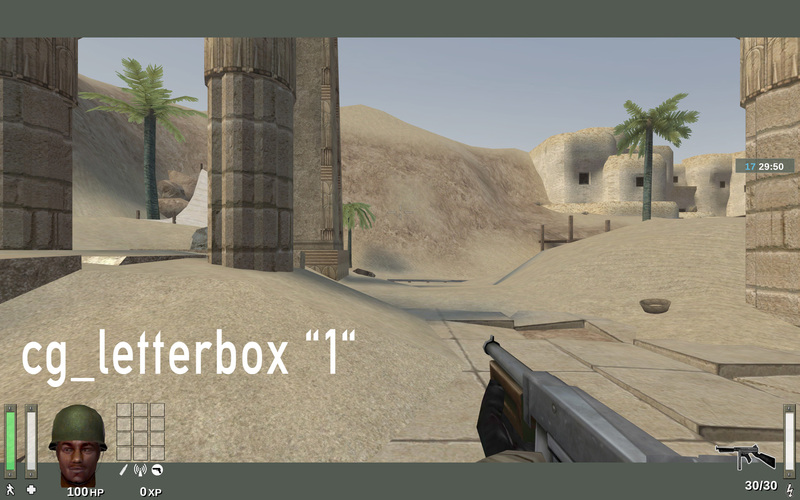 Default: "opengl1" Possible values: "opengl1"; "opengl2"
Select your renderer of choice. 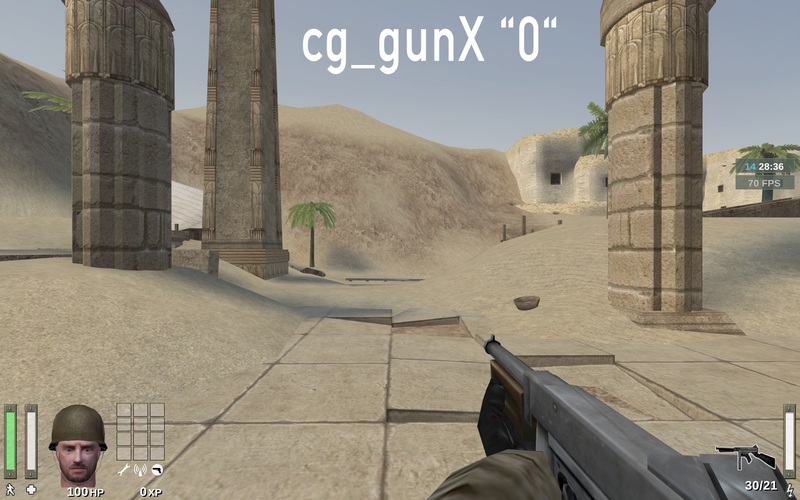 NOTE: "opengl2" remains in experimental state for now. Is this really necessary? 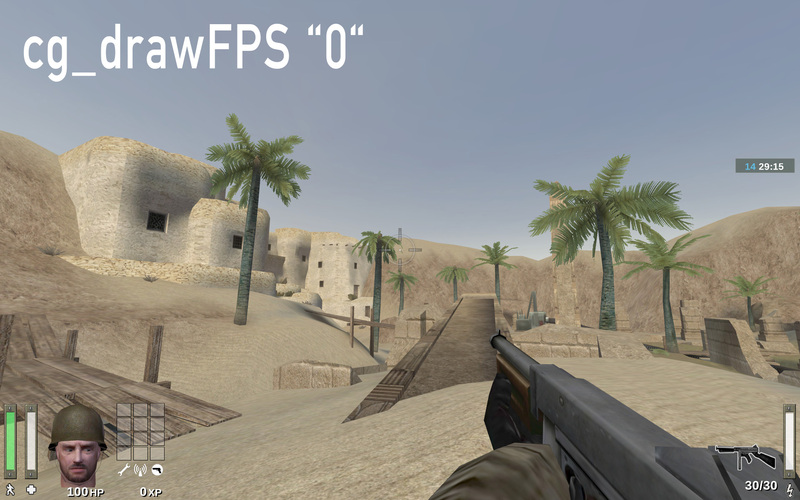 Maybe remove CVAR, have enabled default and replace +speed with +walk? Toggle between walk and run. If enabled, +forward is running speed and if disabled it’s walking speed. 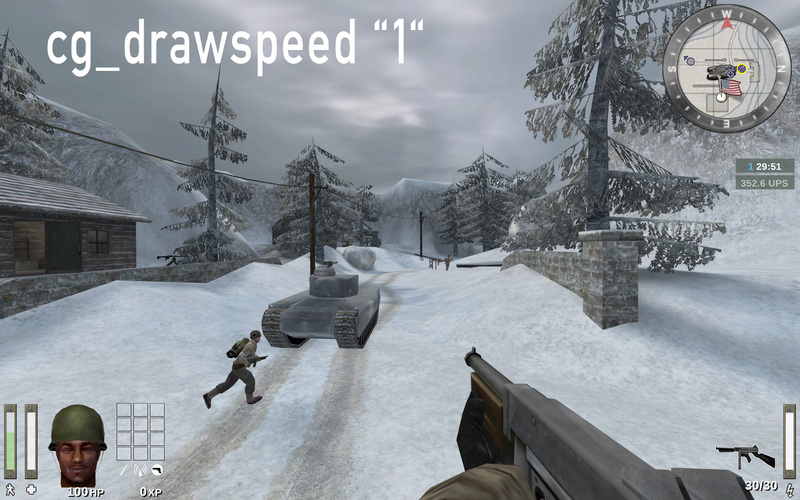 To toggle to the other mode use the combination of +speed (capslock) + +forward. CVAR seems to be unused. Safe to remove? Can be used to check the status of the client game. "Is it running or not?". Is this a duplicate of sensitivity?. Prints the speed of mouse movement to the console. Description copied from antman, correct? Prints the latency of each packet to the console. 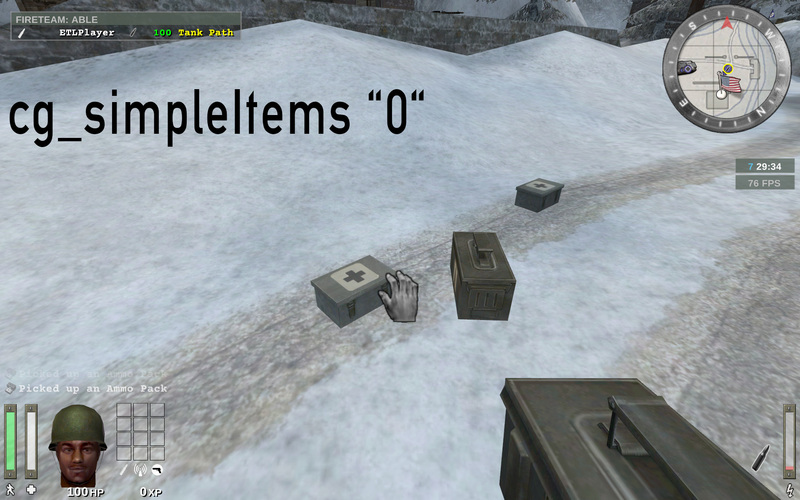 Prints the number of entities per packet to the console. Prints each sent packet to the console. Prints the time delta of each packet to the console. Unknown CVAR, but mentioned in code. Supposed to be for adjusting prediction for your ping. Don’t bother, use antilag. Seems to be duration of receiving nothing from server for client to decide it must be disconnected. Default: " " Possible values: N/A. Internal read-only CVAR used for wave demo recording. Can this be merged with cg_autoAction? Start recording a .wav audio file upon loading a demo. Default: "140" Possible values: "0" = disabled; < ? Specify the speed of +left and +right keys. 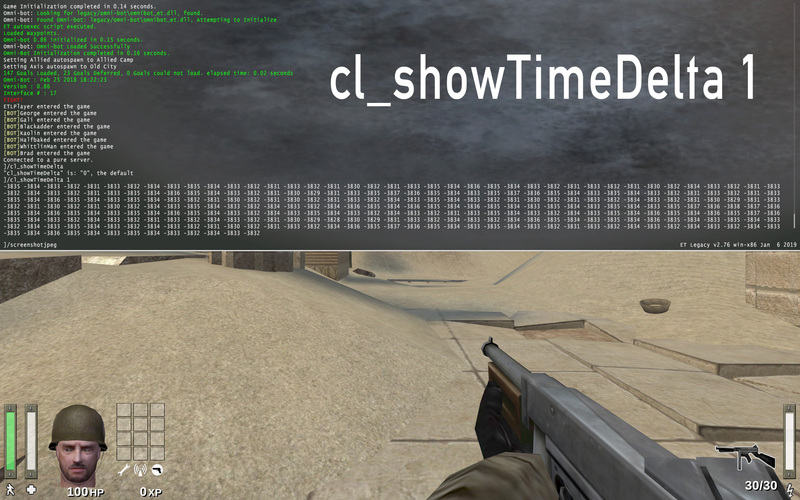 Prints the last few lines of console output transparently on the top of the screen. Default: "7" Possible values: "0" = disabled; < ? Duration for which the notification prints on the top of the screen are displayed, in seconds.